In the current age of educational reform, high-stakes decisions based on large-scale testing performance are becoming increasingly common. 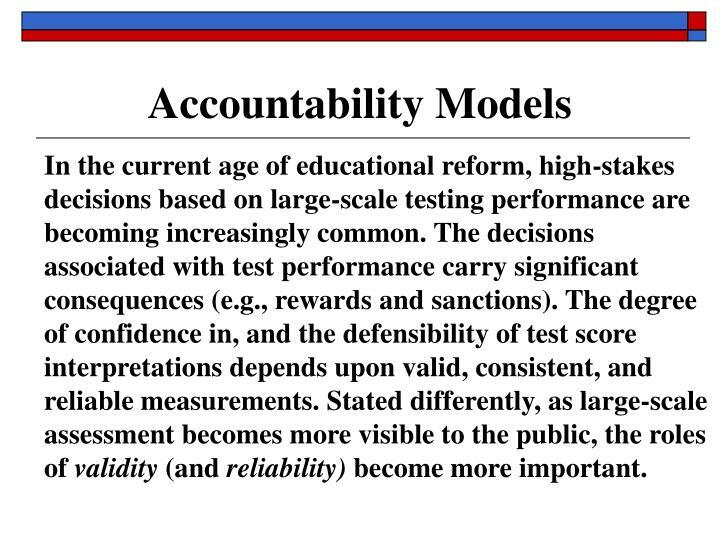 The decisions associated with test performance carry significant consequences (e.g., rewards and sanctions). The degree of confidence in, and the defensibility of test score interpretations depends upon valid, consistent, and reliable measurements. Stated differently, as large-scale assessment becomes more visible to the public, the roles of validity (and reliability) become more important. Validity is a test’s most important characteristic. 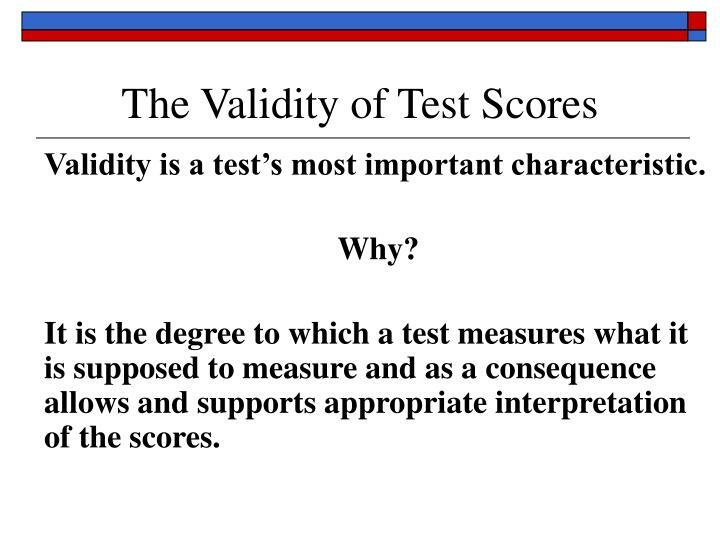 It is the degree to which a test measures what it is supposed to measure and as a consequence allows and supports appropriate interpretation of the scores. 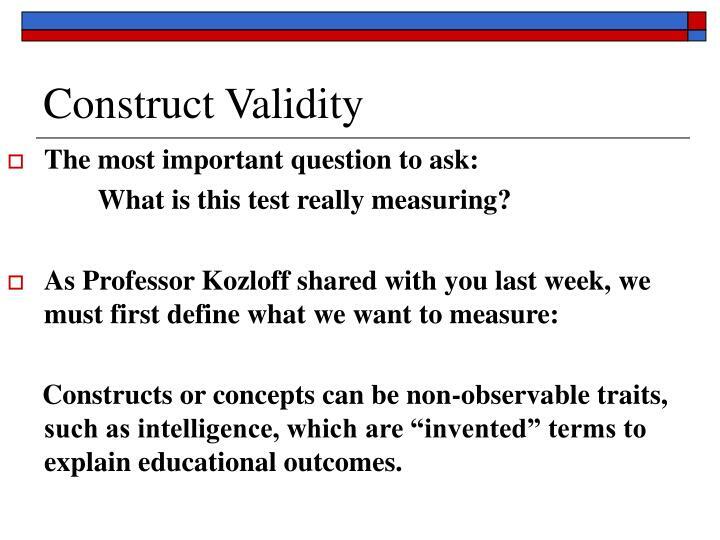 Construct Validity – the degree to which a test measures an intended hypothetical construct. 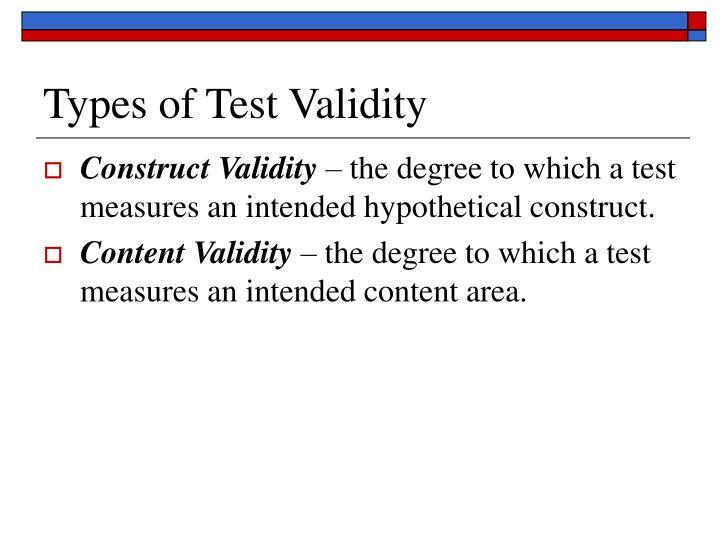 Content Validity – the degree to which a test measures an intended content area. What is this test really measuring? Constructs or concepts can be non-observable traits, such as intelligence, which are “invented” terms to explain educational outcomes. 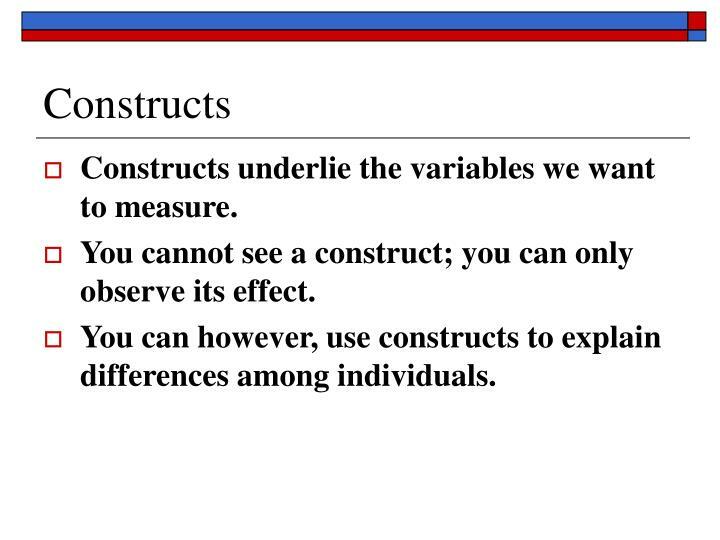 Constructs underlie the variables we want to measure. You cannot see a construct; you can only observe its effect. 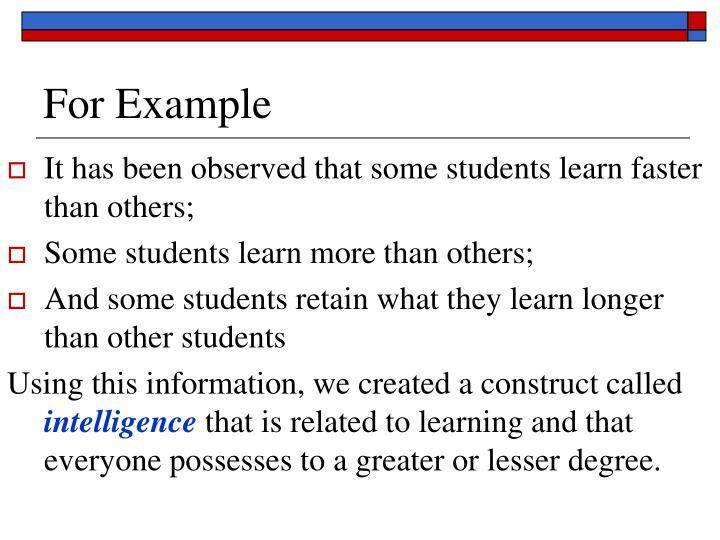 You can however, use constructs to explain differences among individuals. Using this information, we created a construct called intelligencethat is related to learning and that everyone possesses to a greater or lesser degree. From the observed and collected data, the construct of intelligence led to the development of a theory of intelligence. 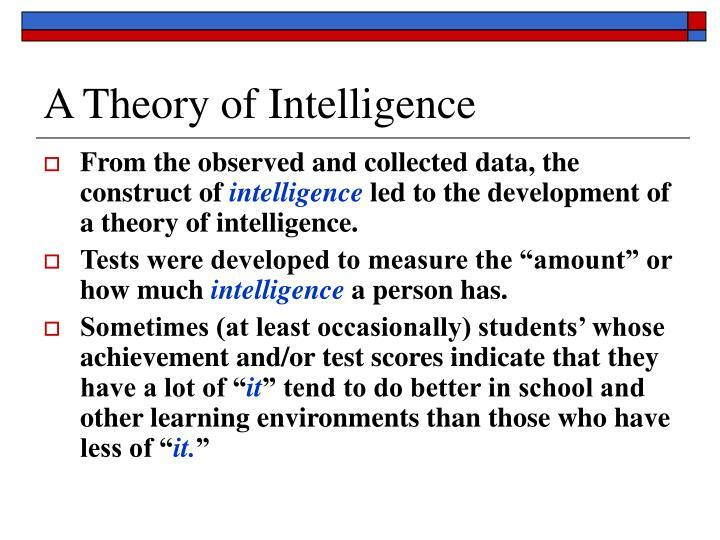 Tests were developed to measure the “amount” or how much intelligence a person has. 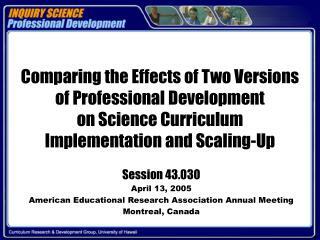 Research studies involving a construct are valid only to the extent that the test or instrument used actually measures the intended construct and not some unanticipated or intervening variable. 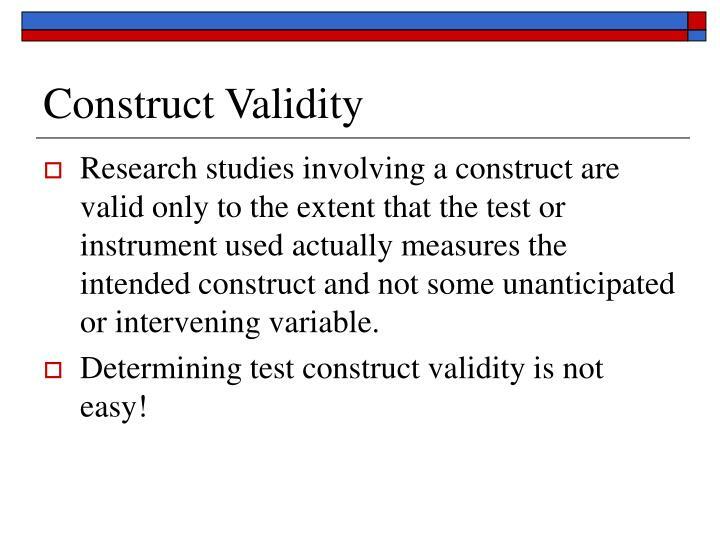 Determining test construct validity is not easy! Let’s say Billy Bob owns a testing company in Texas. 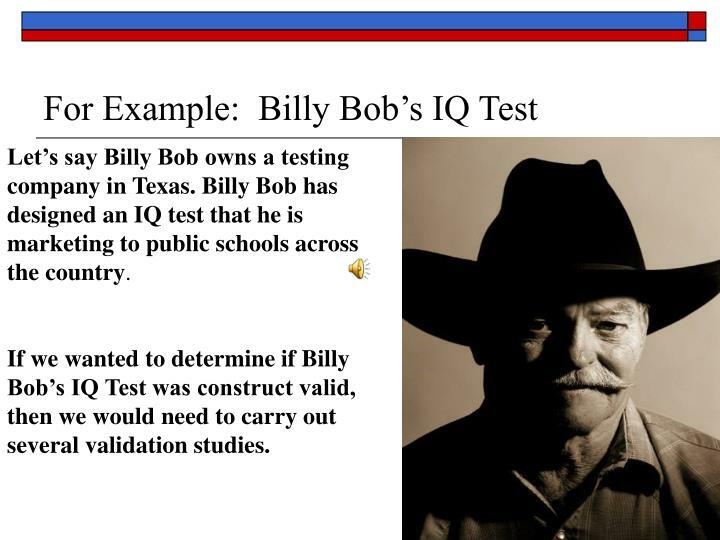 Billy Bob has designed an IQ test that he is marketing to public schools across the country. If we wanted to determine if Billy Bob’s IQ Test was construct valid, then we would need to carry out several validation studies. 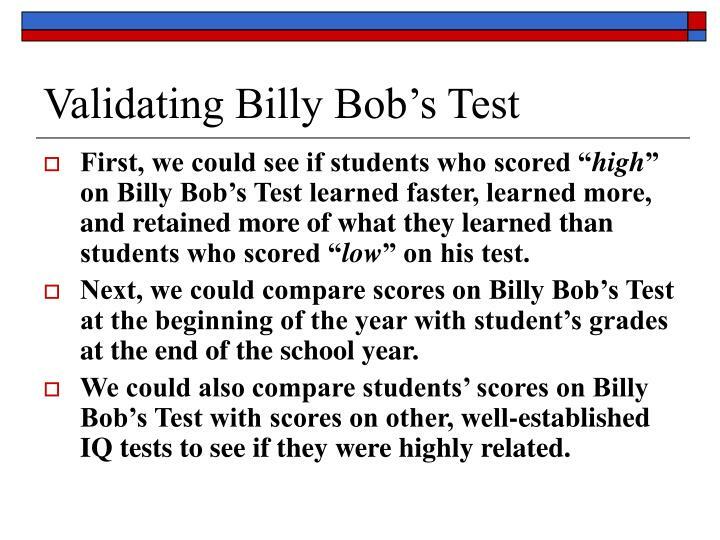 First, we could see if students who scored “high” on Billy Bob’s Test learned faster, learned more, and retained more of what they learned than students who scored “low” on his test. Next, we could compare scores on Billy Bob’s Test at the beginning of the year with student’s grades at the end of the school year. We could also compare students’ scores on Billy Bob’s Test with scores on other, well-established IQ tests to see if they were highly related. 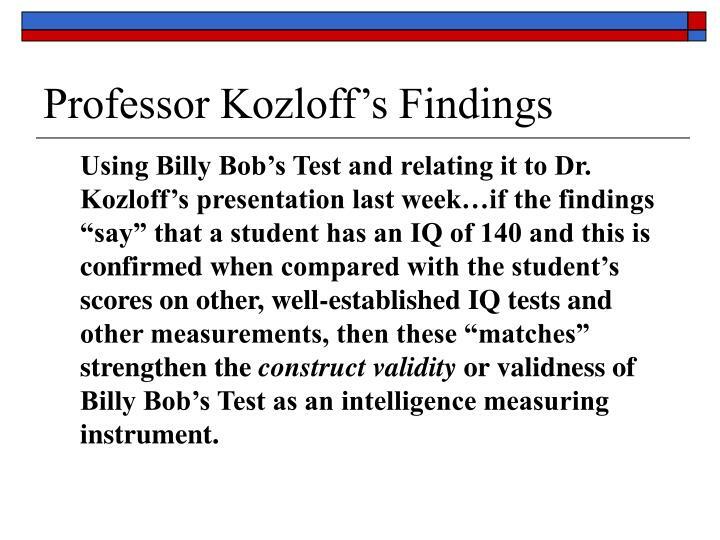 Using Billy Bob’s Test and relating it to Dr. Kozloff’s presentation last week…if the findings “say” that a student has an IQ of 140 and this is confirmed whencompared with the student’s scores on other, well-established IQ tests and other measurements, then these “matches” strengthen the constructvalidity or validness of Billy Bob’s Test as an intelligence measuring instrument. What about Test Content Validity? 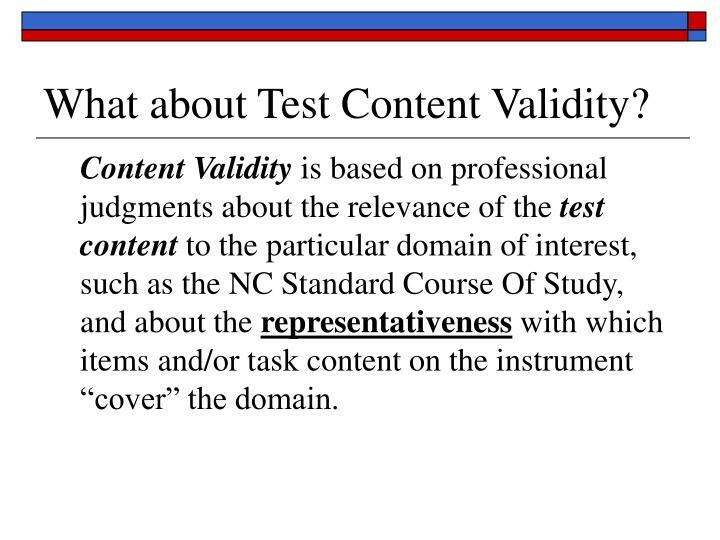 Content Validity is based on professional judgments about the relevance of the testcontent to the particular domain of interest, such as the NC Standard Course Of Study, and about the representativeness with which items and/or task content on the instrument “cover” the domain. 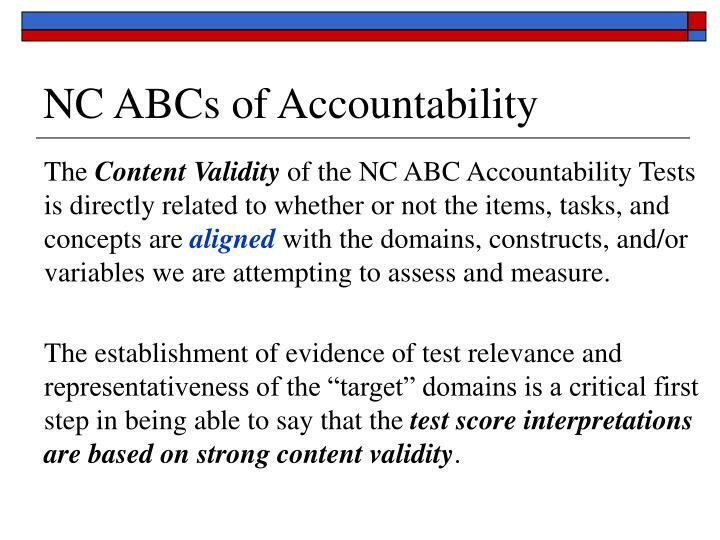 The Content Validity of the NC ABC Accountability Tests is directly related to whether or not the items, tasks, and concepts are aligned with the domains, constructs, and/or variables we are attempting to assess and measure. 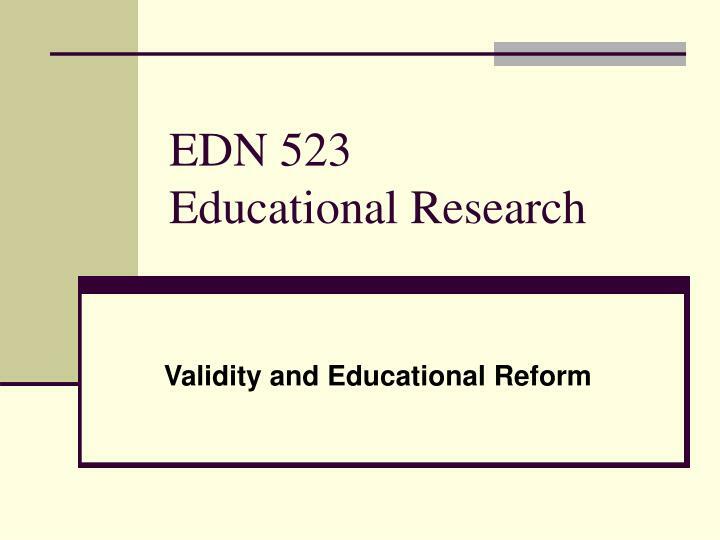 The establishment of evidence of test relevance and representativeness of the “target” domains is a critical first step in being able to say that the test score interpretations are based on strong content validity. 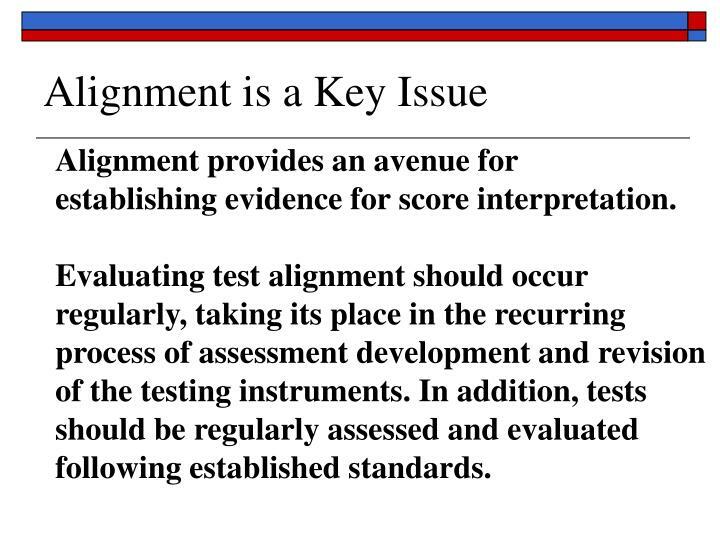 Alignment is a key issue in as much as it provides one avenue for establishing evidence for score interpretation. 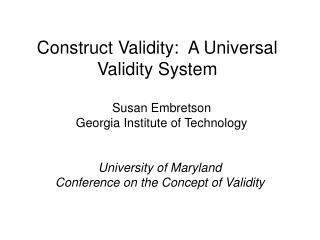 Validity is not a static quality; it is an evolving property and validation is a continuing process. Evaluating test alignment should occur regularly, taking its place in the recurring process of assessment development and revision of the testing instruments. 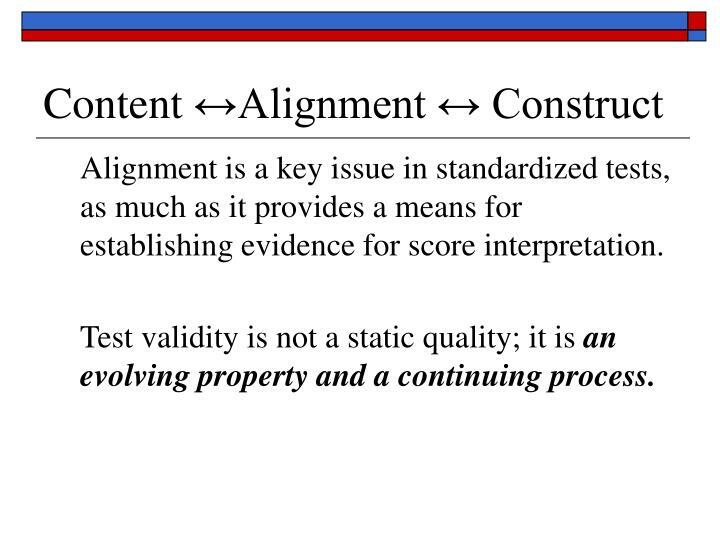 An objective analysis of alignment as tests are adopted, built, or revised ought to be conducted on an ongoing basis. 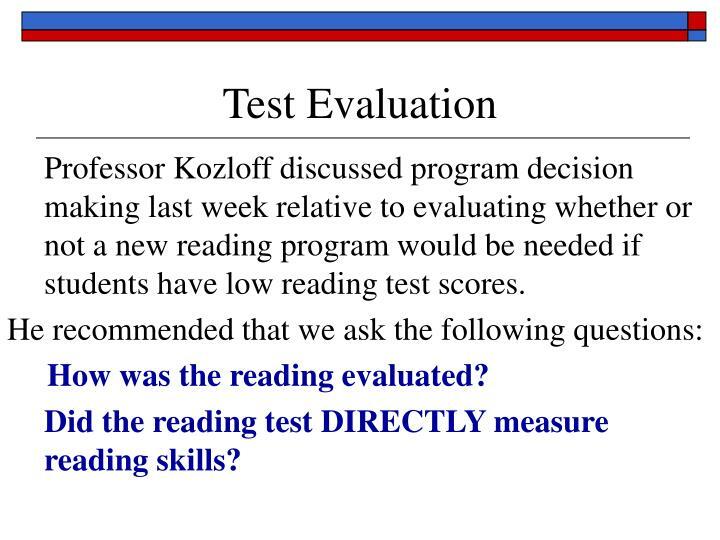 Professor Kozloff discussed program decision making last week relative to evaluating whether or not a new reading program would be needed if students have low reading test scores. How was the reading evaluated? Did the reading test DIRECTLY measure reading skills? Did students get points if they guessed at what words said? Did students get points off if they guessed rather than sounded out the words? 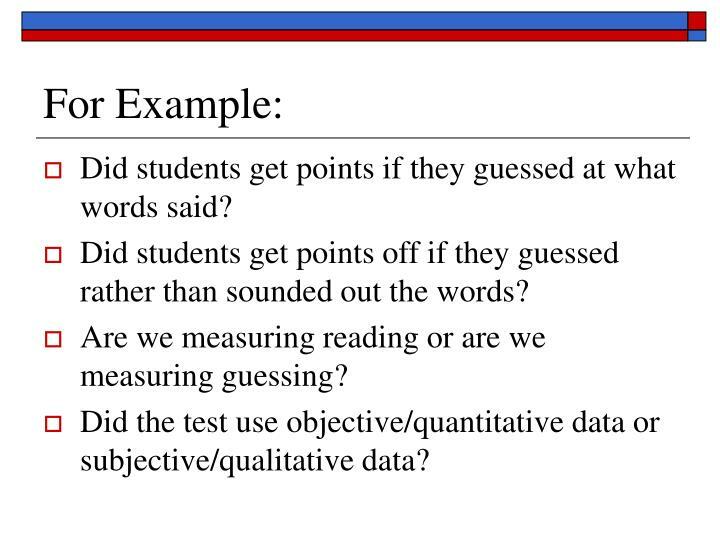 Are we measuring reading or are we measuring guessing? Did the test use objective/quantitative data or subjective/qualitative data? 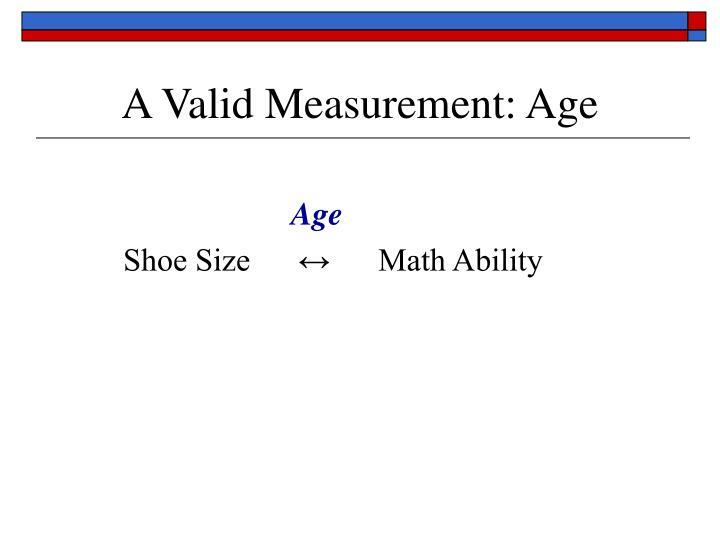 Math Example: If we simply look at data on math ability among individuals, it initially appears that shoe size is directly related to a person’s math skills. 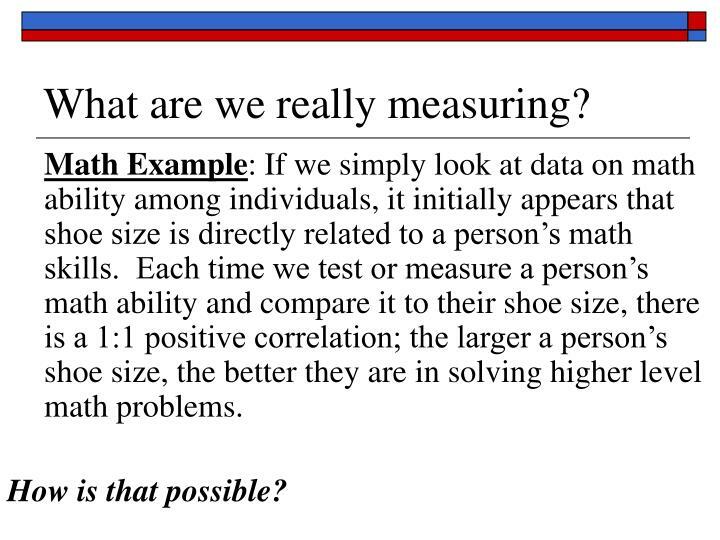 Each time we test or measure a person’s math ability and compare it to their shoe size, there is a 1:1 positive correlation; the larger a person’s shoe size, the better they are in solving higher level math problems. Are they related? You bet your derriere they are! 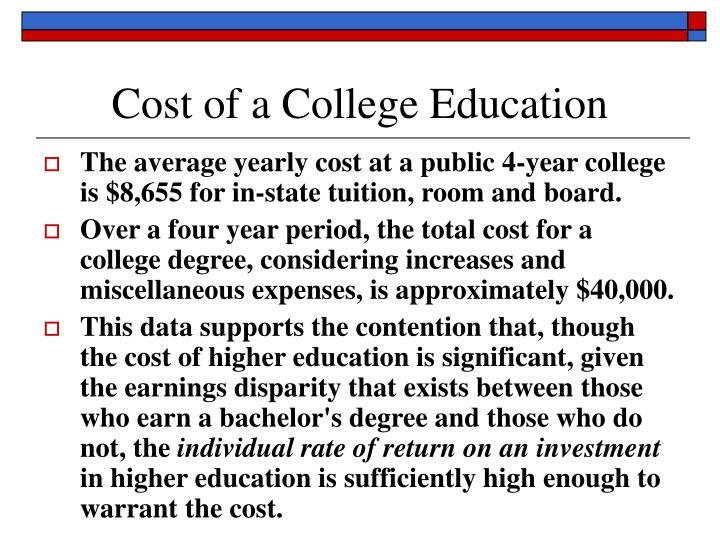 The average yearly cost at a public 4-year college is $8,655 for in-state tuition, room and board. Over a four year period, the total cost for a college degree, considering increases and miscellaneous expenses, is approximately $40,000. 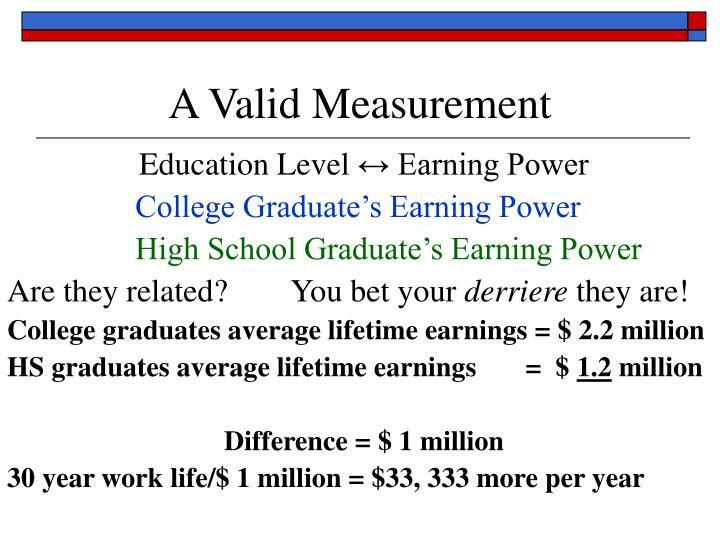 This data supports the contention that, though the cost of higher education is significant, given the earnings disparity that exists between those who earn a bachelor's degree and those who do not, the individual rate of return on an investment in higher education is sufficiently high enough to warrant the cost. 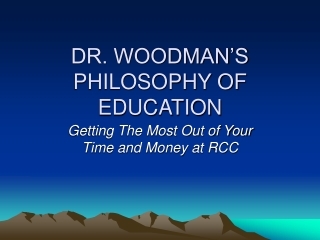 Rate of return for college educated individual is almost twice as much income during his or her work life than a high school graduate. 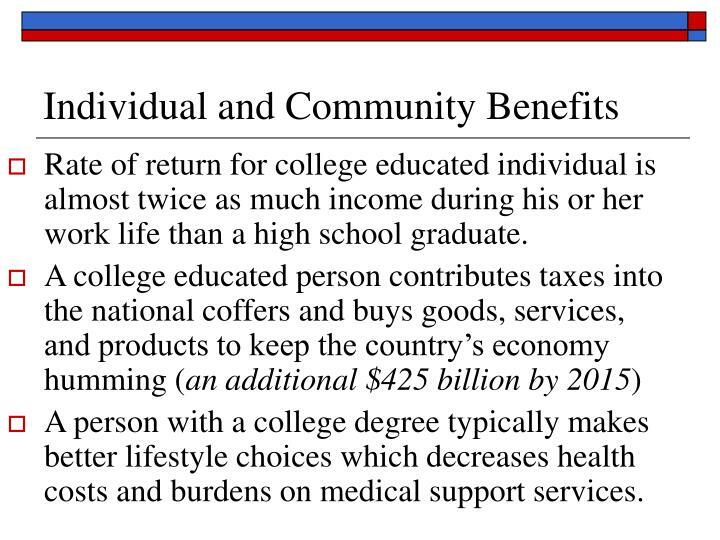 A person with a college degree typically makes better lifestyle choices which decreases health costs and burdens on medical support services. It is estimated that there are 3.8 million youth between the ages of 18 and 24 who are neither employed nor in school—roughly 15 percent of all young adults. Since 2000 alone, the ranks of these non-engaged young adults grew by 700,000, a 19 percent increase over 3 years (Annie E. Casey Foundation, 2004). 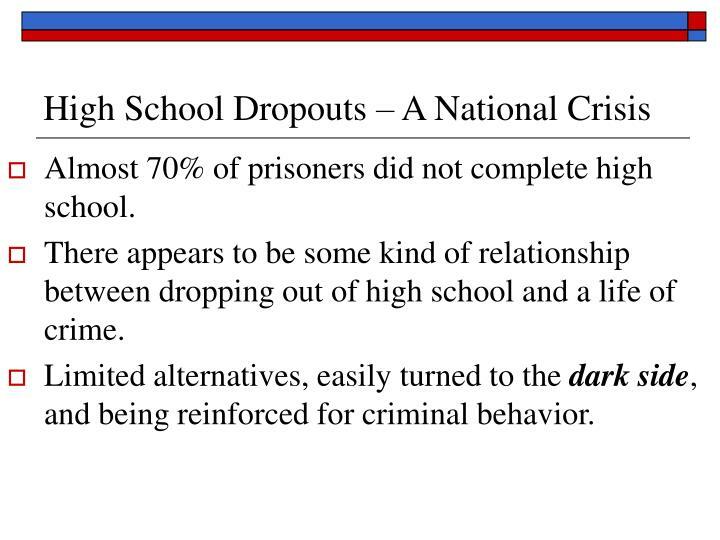 Almost 70% of prisoners did not complete high school. There appears to be some kind of relationship between dropping out of high school and a life of crime. Limited alternatives, easily turned to the darkside, and being reinforced for criminal behavior. 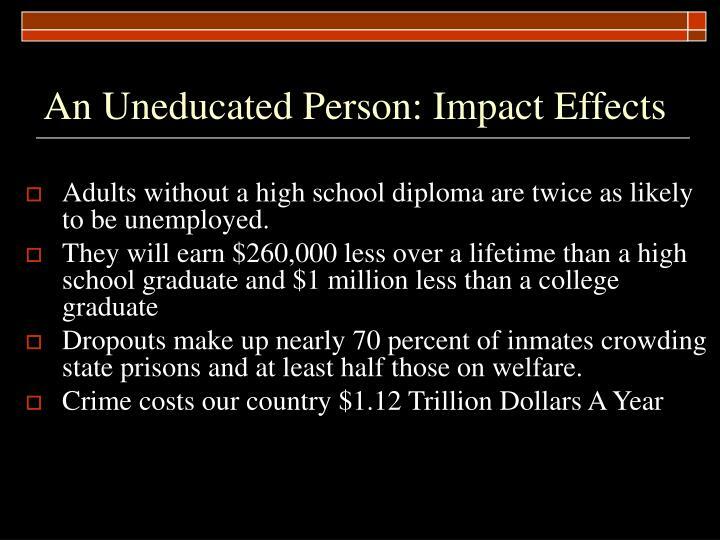 What is the impact of poorly educated citizens on our economy and quality of life? 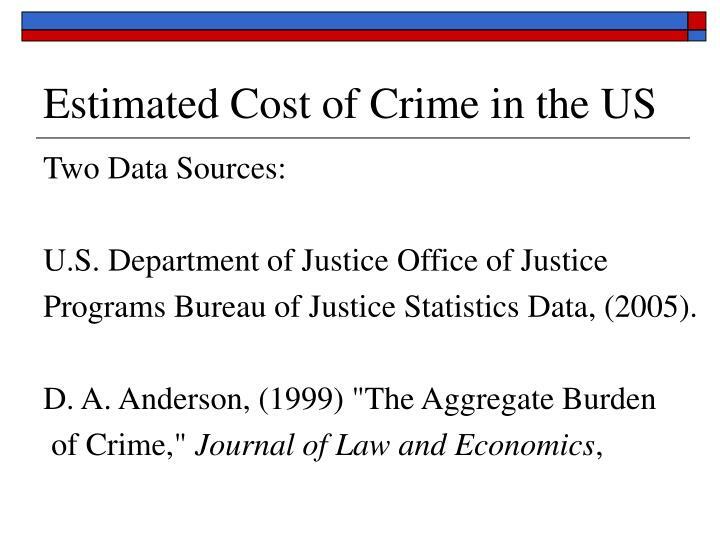 Programs Bureau of Justice Statistics Data, (2005). 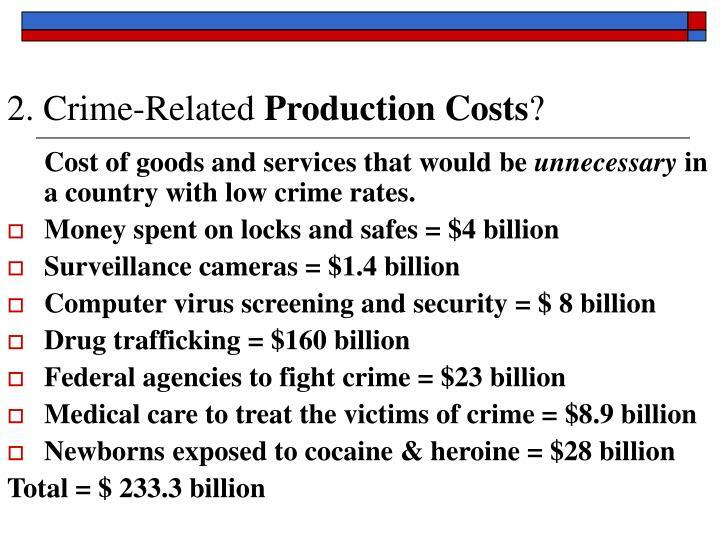 Cost of goods and services that would be unnecessary in a country with low crime rates. 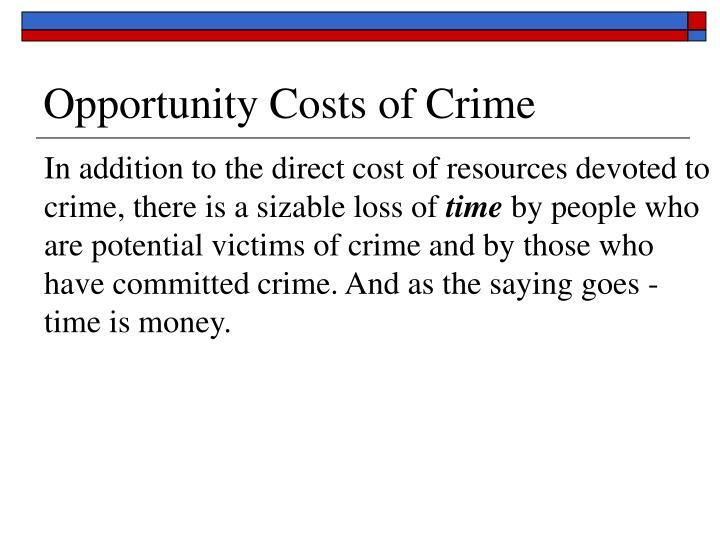 In addition to the direct cost of resources devoted to crime, there is a sizable loss of time by people who are potential victims of crime and by those who have committed crime. And as the saying goes - time is money. 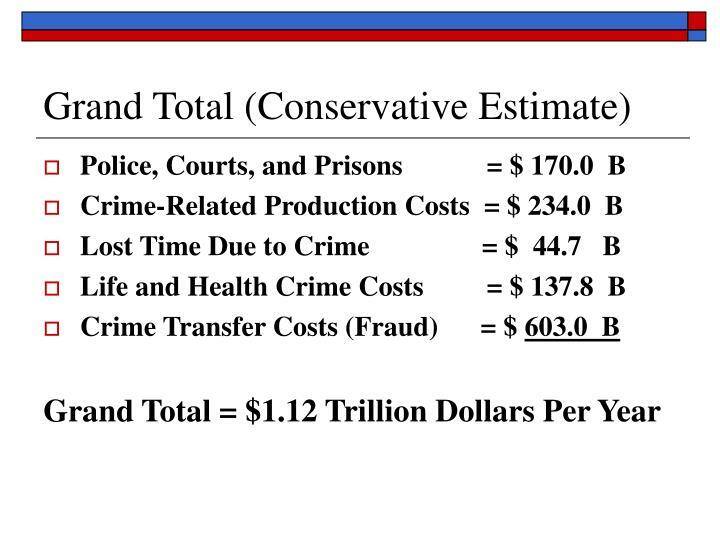 If there were no crime, there would be no criminals. Instead of sitting idle in jails, these people - over 1 million of them - could be productive members of the economy, so chalk up $35 billion. 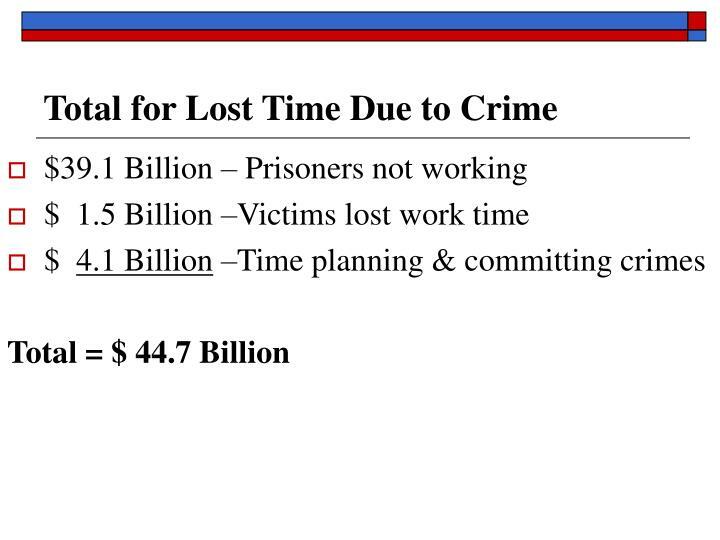 Also, there is much time lost in planning and executing crimes - $4.1 billion worth. 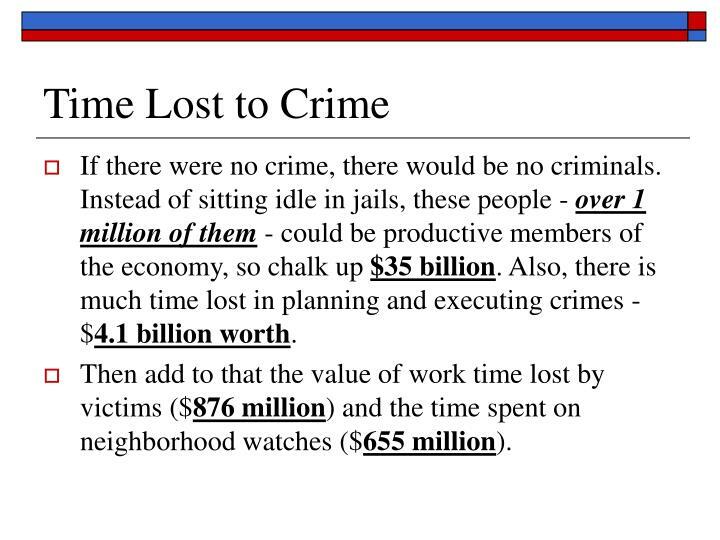 Then add to that the value of work time lost by victims ($876 million) and the time spent on neighborhood watches ($655 million). We accounted for the cost of medical expenses, but we should also consider the cost of a life and injury in addition to the direct costs incurred by the medical system. 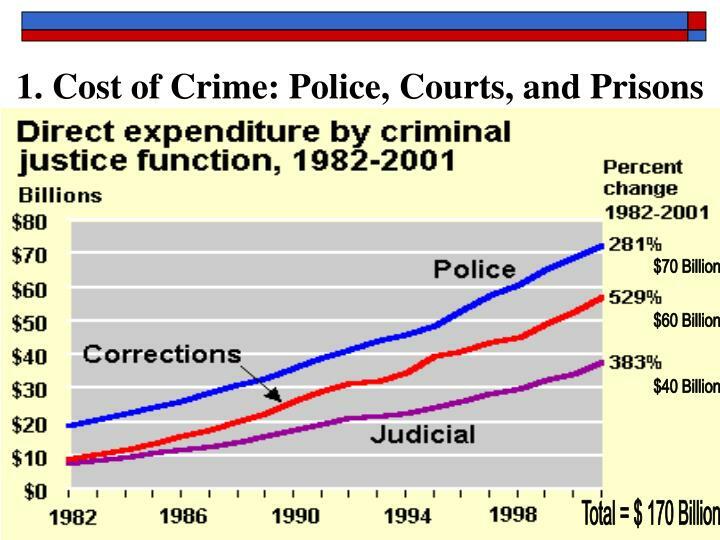 There are approximately 72,000 crime related deaths a year and 2.5 million crime related injuries every year. 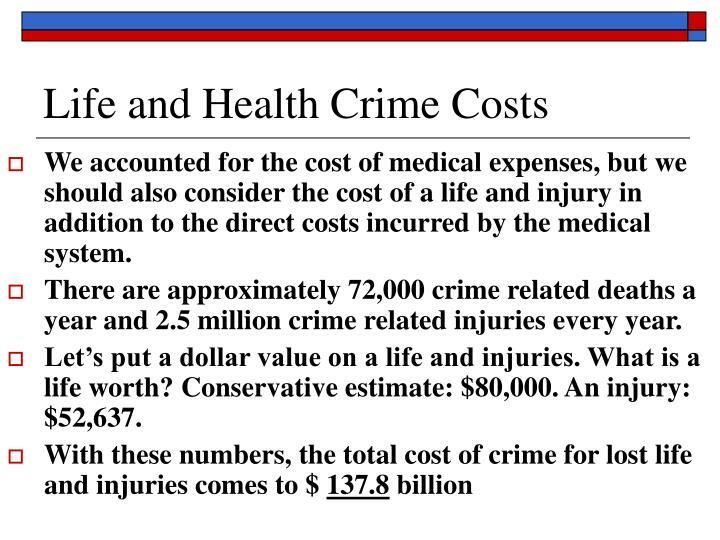 Let’s put a dollar value on a life and injuries. What is a life worth? Conservative estimate: $80,000. An injury: $52,637. 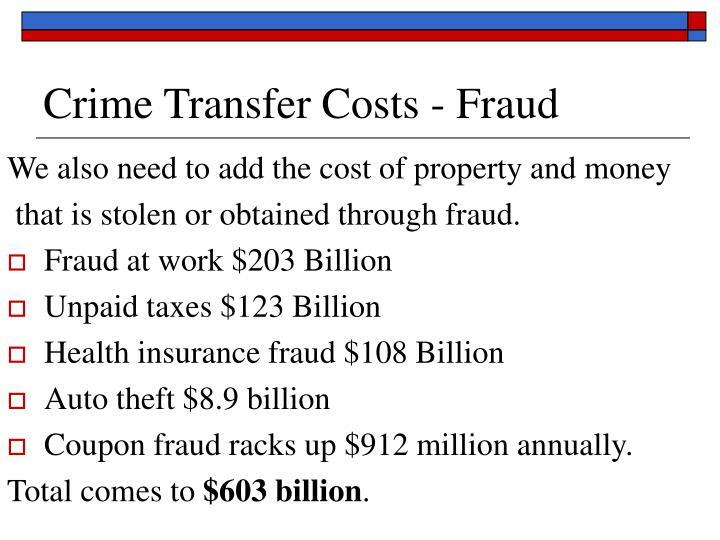 that is stolen or obtained through fraud. Coupon fraud racks up $912 million annually. Total comes to $603 billion. 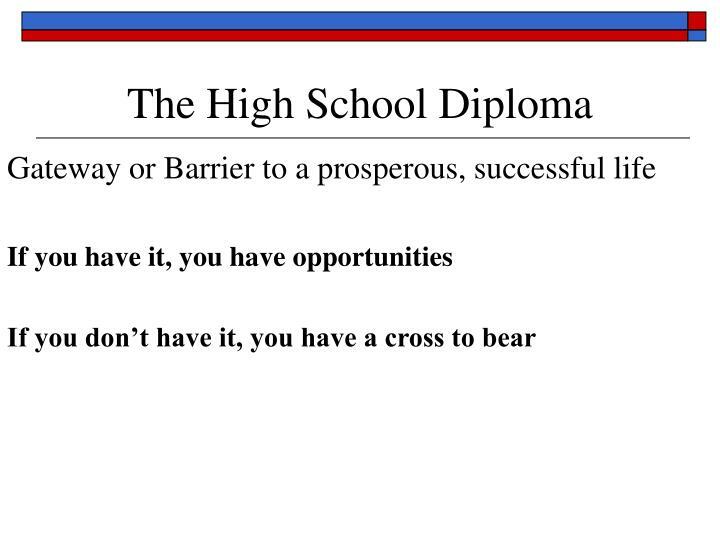 Adults without a high school diploma are twice as likely to be unemployed. Dropouts make up nearly 70 percent of inmates crowding state prisons and at least half those on welfare. 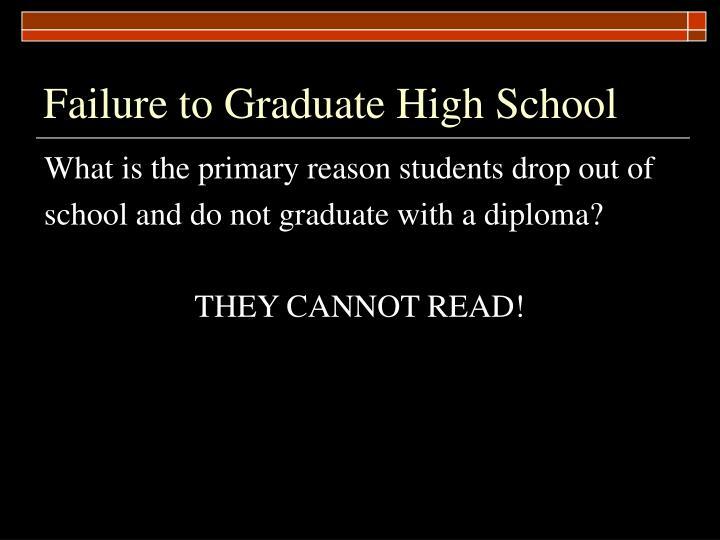 school and do not graduate with a diploma? 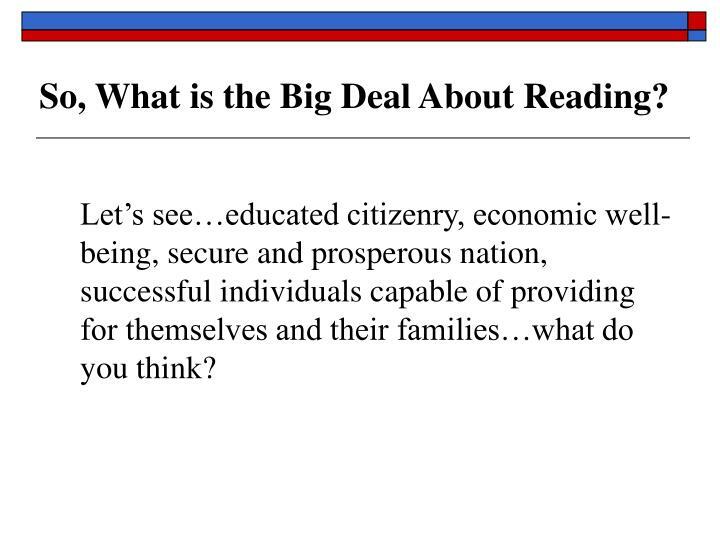 So, What is the Big Deal About Reading? Let’s see…educated citizenry, economic well-being, secure and prosperous nation, successful individuals capable of providing for themselves and their families…what do you think? 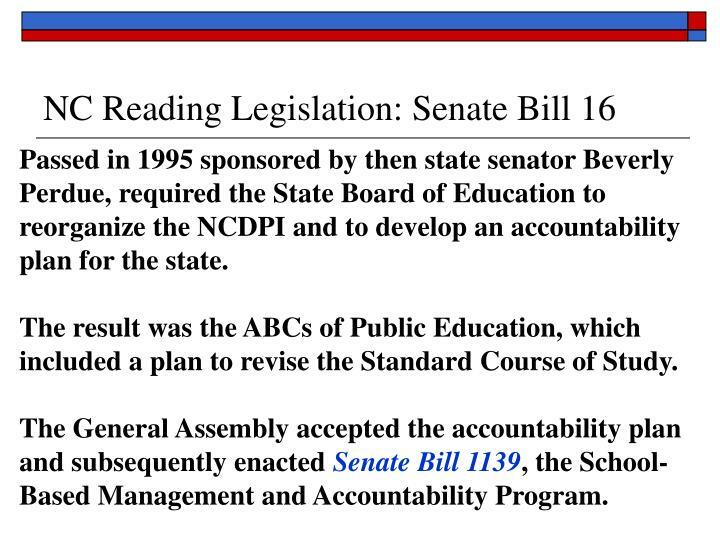 Passed in 1995 sponsored by then state senator Beverly Perdue, required the State Board of Education to reorganize the NCDPI and to develop an accountability plan for the state. 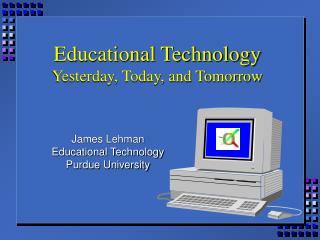 The result was the ABCs of Public Education, which included a plan to revise the Standard Course of Study. The General Assembly accepted the accountability plan and subsequently enacted Senate Bill 1139, the School-Based Management and Accountability Program. Sponsored by former Senator Leslie Winner (D-40th Dist. 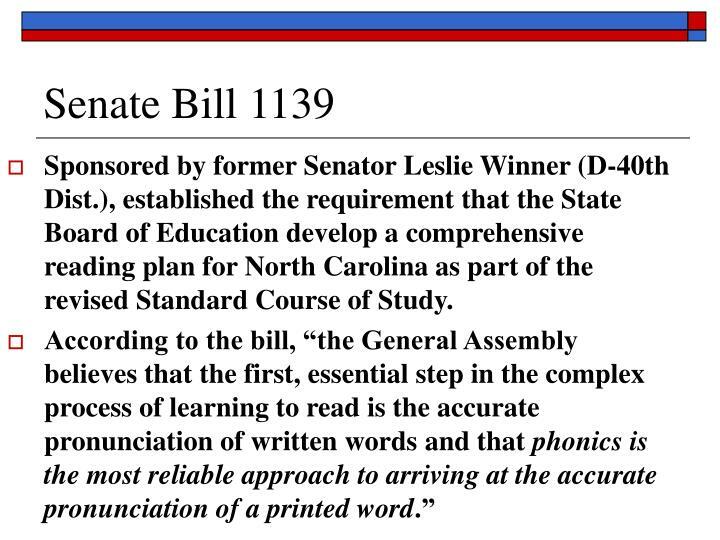 ), established the requirement that the State Board of Education develop a comprehensive reading plan for North Carolina as part of the revised Standard Course of Study. 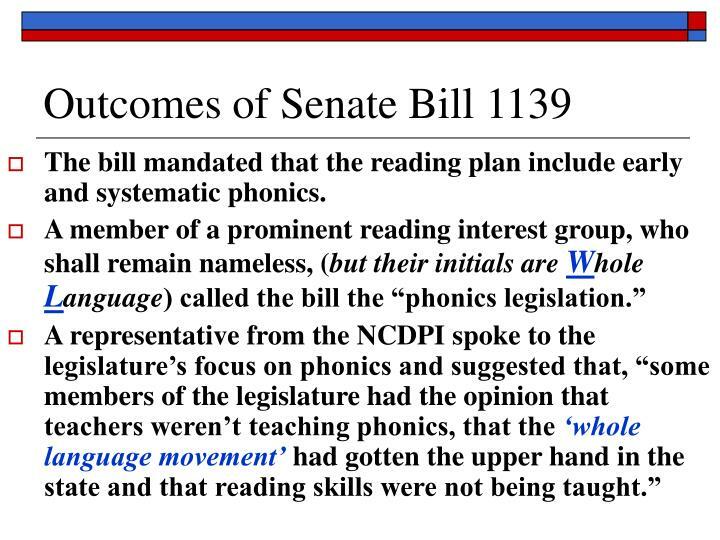 The bill mandated that the reading plan include early and systematic phonics. 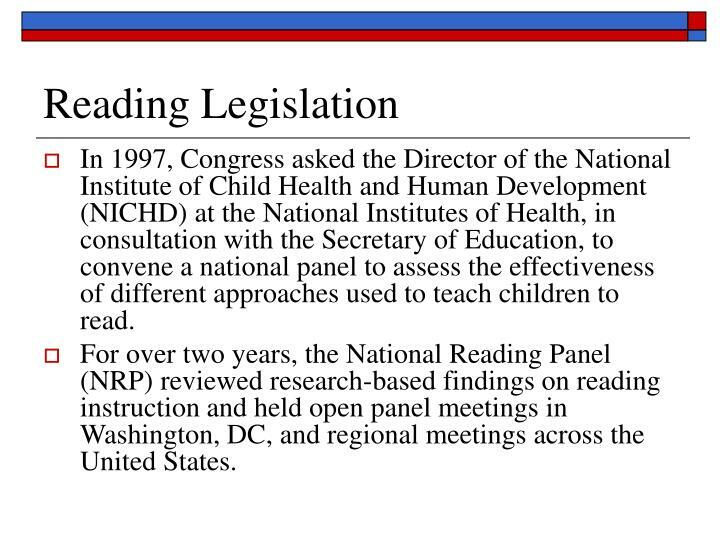 For over two years, the National Reading Panel (NRP) reviewed research-based findings on reading instruction and held open panel meetings in Washington, DC, and regional meetings across the United States. The National Reading Panel only looked at studies that met the most rigorous standards of scientifically based research. 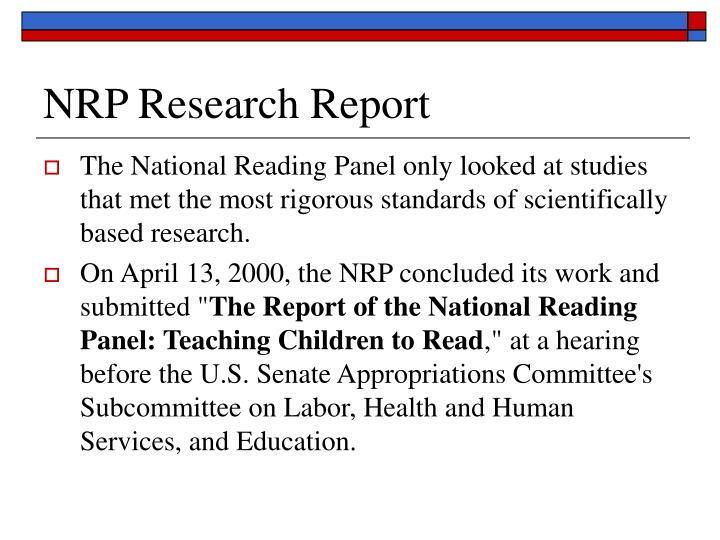 On April 13, 2000, the NRP concluded its work and submitted "The Report of the National Reading Panel: Teaching Children to Read," at a hearing before the U.S. Senate Appropriations Committee's Subcommittee on Labor, Health and Human Services, and Education. 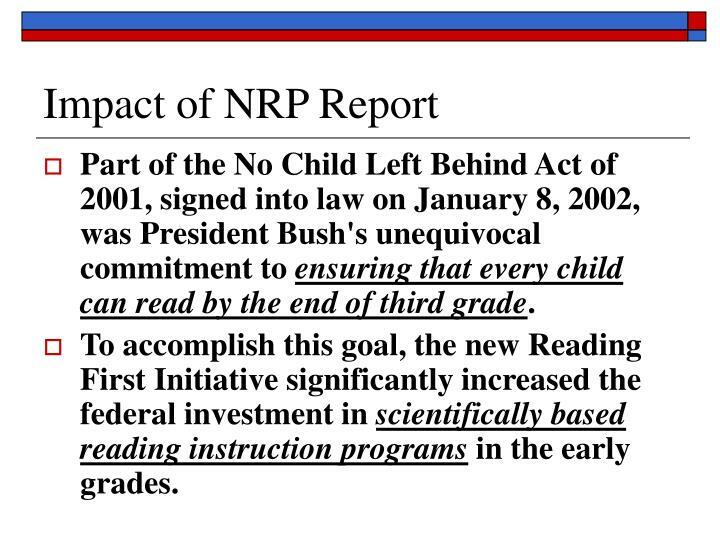 Part of the No Child Left Behind Act of 2001, signed into law on January 8, 2002, was President Bush's unequivocal commitment to ensuring that every child can read by the end of third grade. 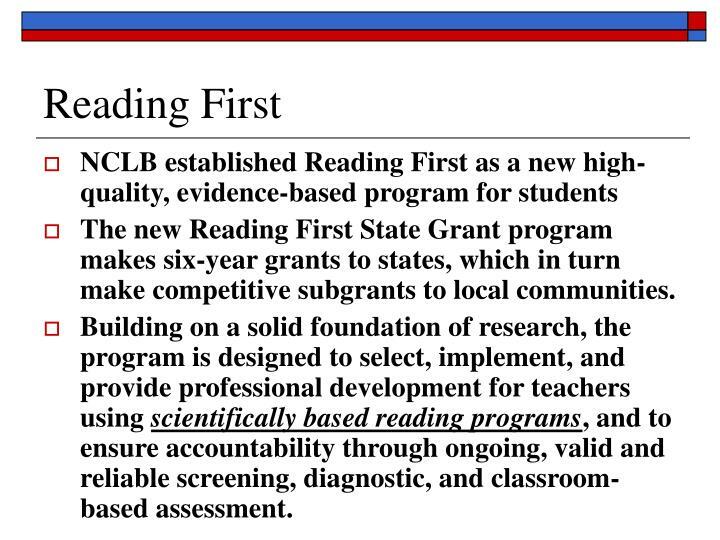 To accomplish this goal, the new Reading First Initiative significantly increased the federal investment in scientifically based reading instruction programs in the early grades. The new Reading First State Grant program makes six-year grants to states, which in turn make competitive subgrants to local communities. 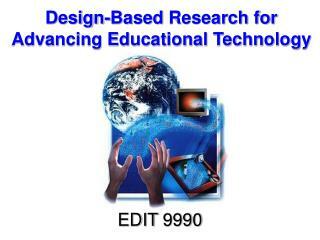 Building on a solid foundation of research, the program is designed to select, implement, and provide professional development for teachers using scientifically based reading programs, and to ensure accountability through ongoing, valid and reliable screening, diagnostic, and classroom-based assessment. The Goal of North Carolina's Reading First (NCRF) initiative is to ensure that all children learn to read well by the end of the third grade. 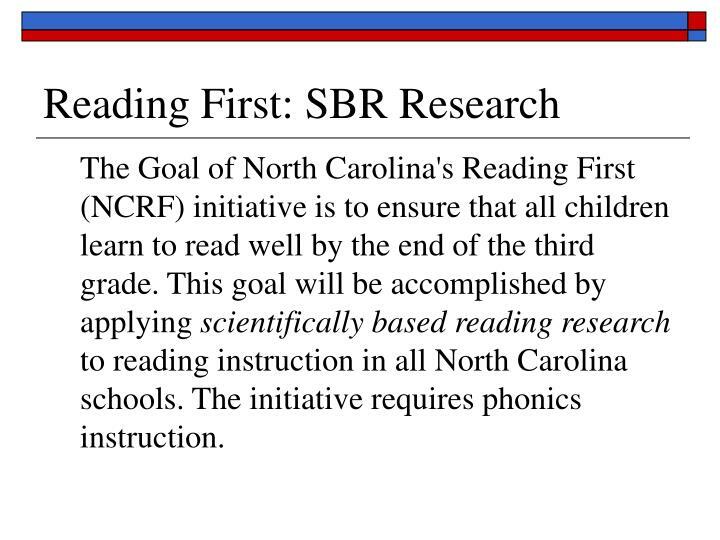 This goal will be accomplished by applying scientifically based reading research to reading instruction in all North Carolina schools. 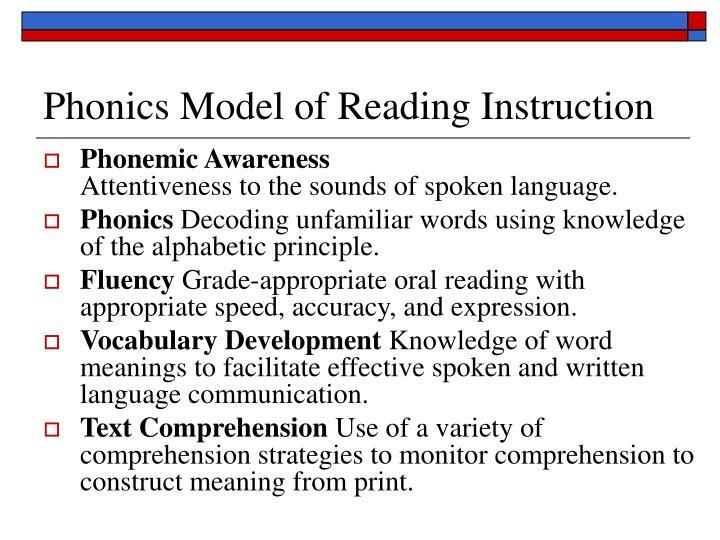 The initiative requires phonics instruction. Phonemic Awareness Attentiveness to the sounds of spoken language. Phonics Decoding unfamiliar words using knowledge of the alphabetic principle. Fluency Grade-appropriate oral reading with appropriate speed, accuracy, and expression. 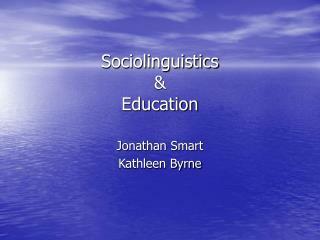 Vocabulary Development Knowledge of word meanings to facilitate effective spoken and written language communication. Text Comprehension Use of a variety of comprehension strategies to monitor comprehension to construct meaning from print. 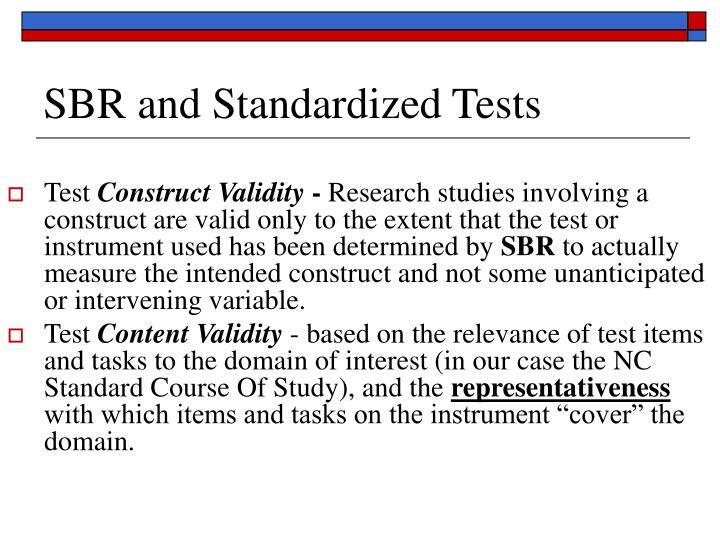 Test Construct Validity - Research studies involving a construct are valid only to the extent that the test or instrument used has been determined by SBR to actually measure the intended construct and not some unanticipated or intervening variable. 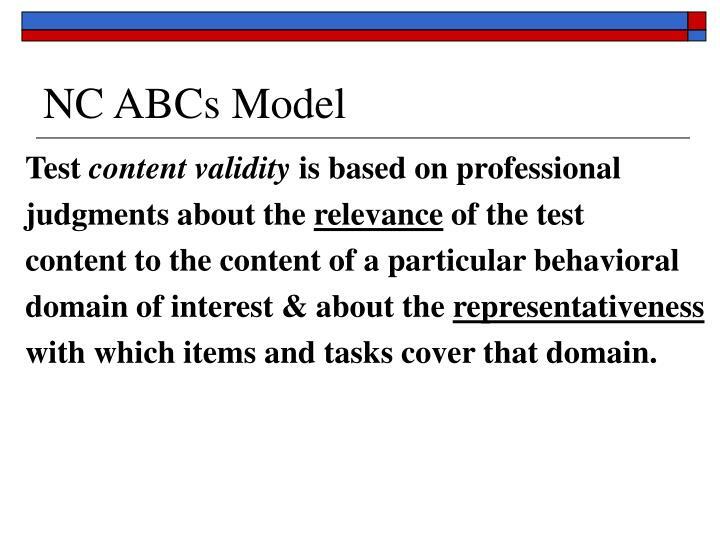 Test Content Validity - based on the relevance of test items and tasks to the domain of interest (in our case the NC Standard Course Of Study), and the representativeness with which items and tasks on the instrument “cover” the domain. 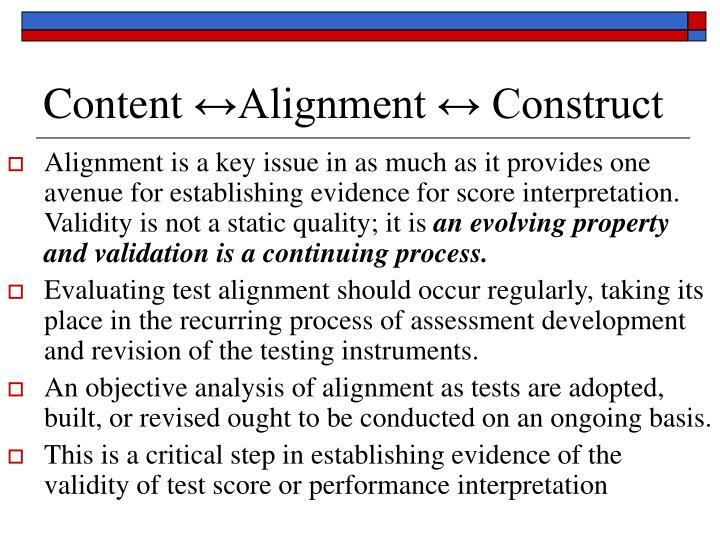 Alignment is a key issue in standardized tests, as much as it provides a means for establishing evidence for score interpretation. 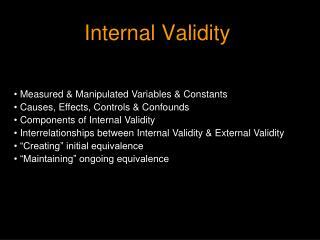 Test validity is not a static quality; it is an evolving property and a continuing process. with which items and tasks cover that domain. 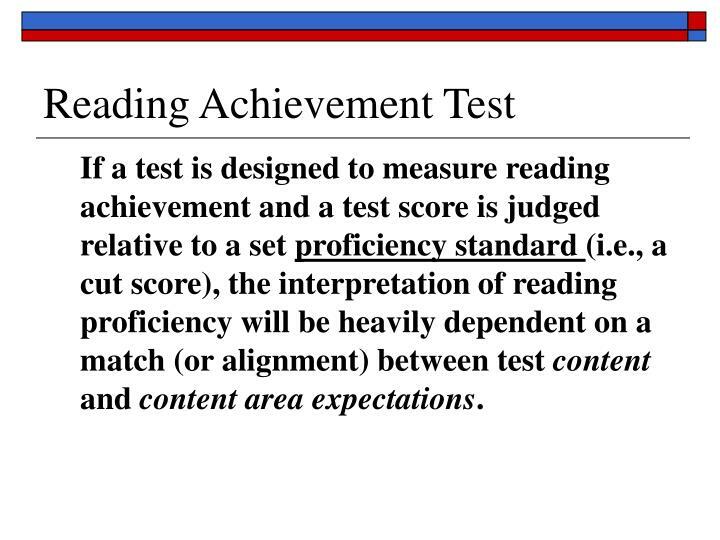 If a test is designed to measure reading achievement and a test score is judged relative to a set proficiency standard (i.e., a cut score), the interpretation of reading proficiency will be heavily dependent on a match (or alignment) between test content and content areaexpectations. establishing evidence for score interpretation. 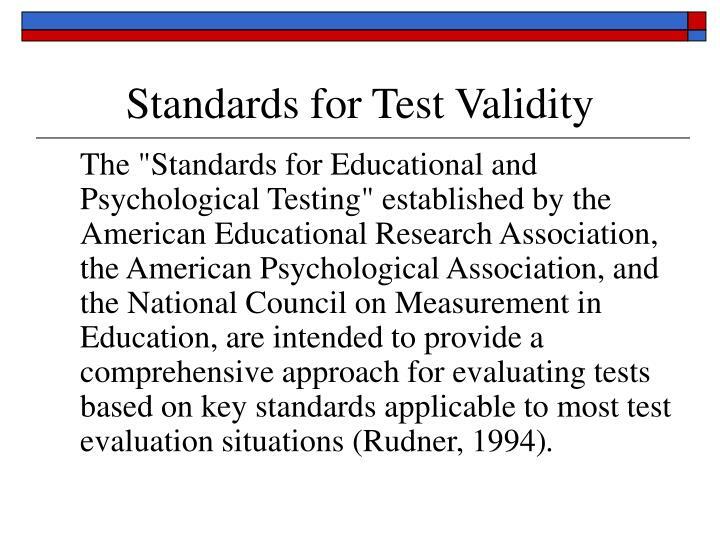 The "Standards for Educational and Psychological Testing" established by the American Educational Research Association, the American Psychological Association, and the National Council on Measurement in Education, are intended to provide a comprehensive approach for evaluating tests based on key standards applicable to most test evaluation situations (Rudner, 1994). 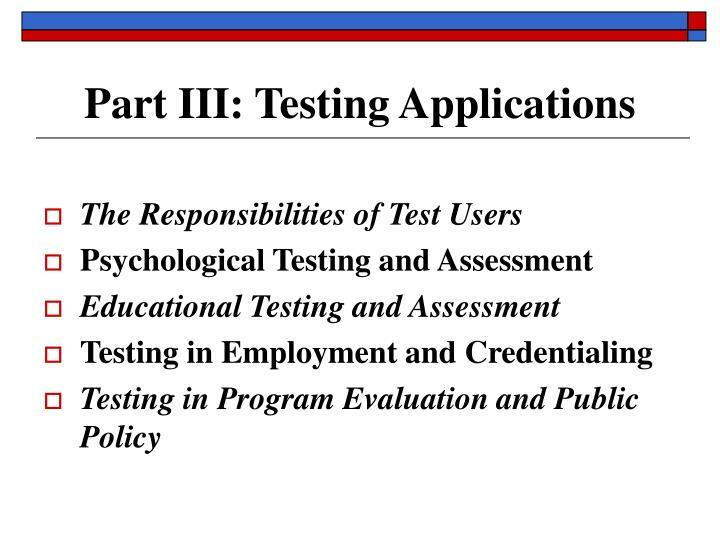 What are the intended uses of the test? 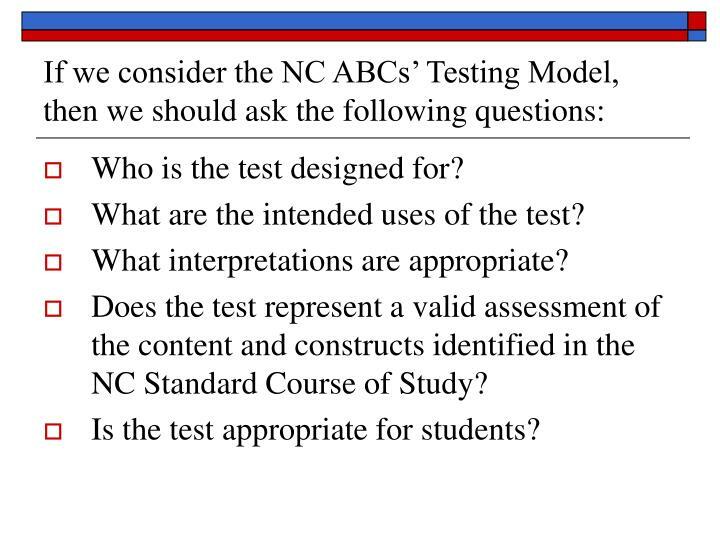 Does the test represent a valid assessment of the content and constructs identified in the NC Standard Course of Study? Is the test appropriate for students? 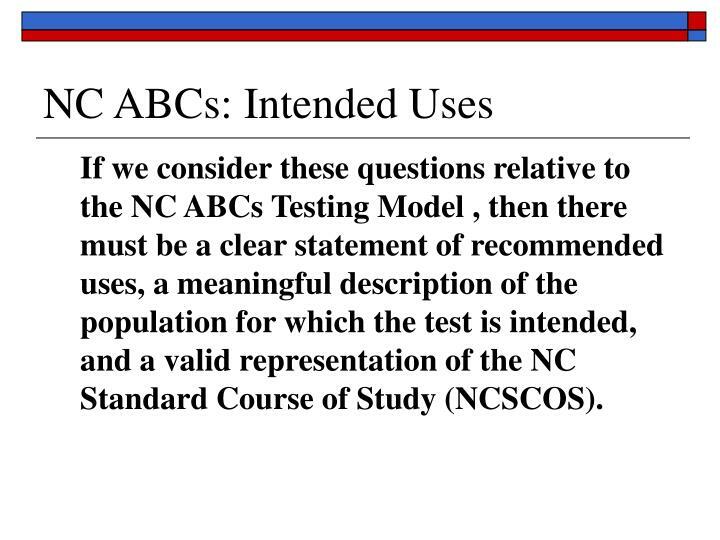 If we consider these questions relative to the NC ABCs Testing Model , then there must be a clear statement of recommended uses, a meaningful description of the population for which the test is intended, and a valid representation of the NC Standard Course of Study (NCSCOS). What Do We Mean By Test Validity? 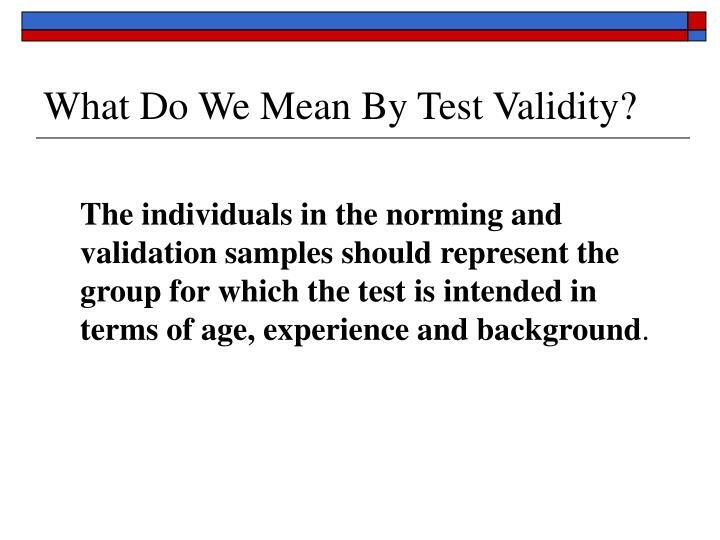 The individuals in the norming and validation samples should represent the group for which the test is intended in terms of age, experience and background. How were the samples used in pilot testing, validation and norming chosen? How is this sample related to your student population? Was the sample size large enough to develop stable estimates with minimal fluctuation due to sampling errors? 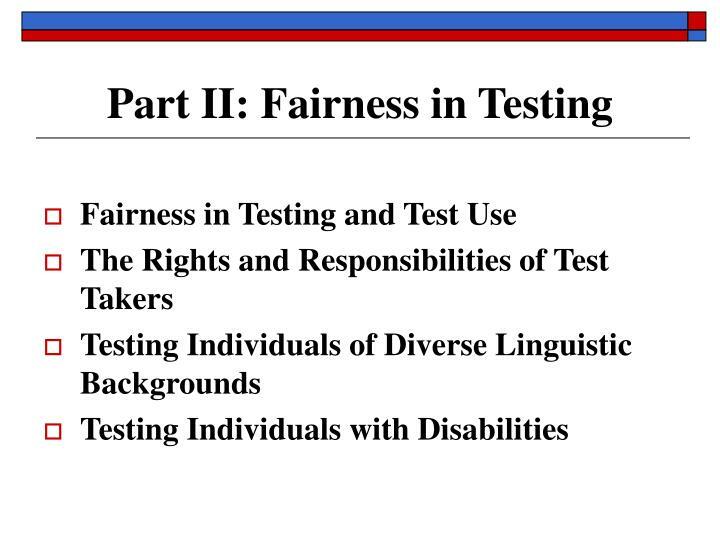 Where statements are made concerning subgroups, are there enough test-takers in each subgroup? 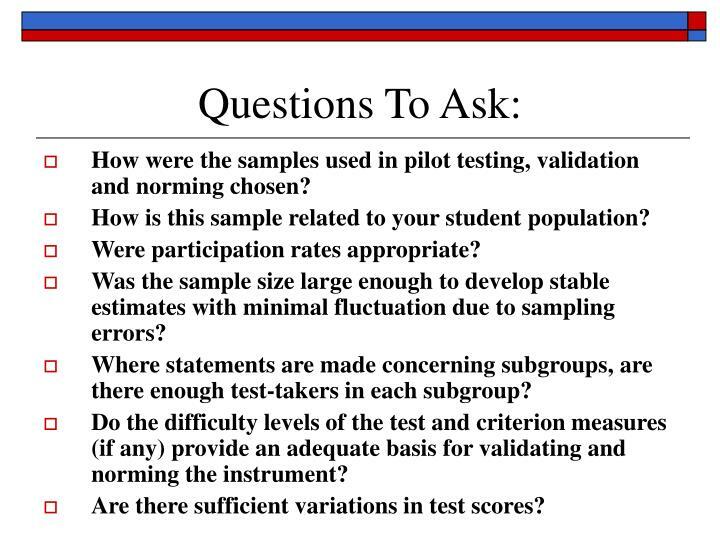 Do the difficulty levels of the test and criterion measures (if any) provide an adequate basis for validating and norming the instrument? 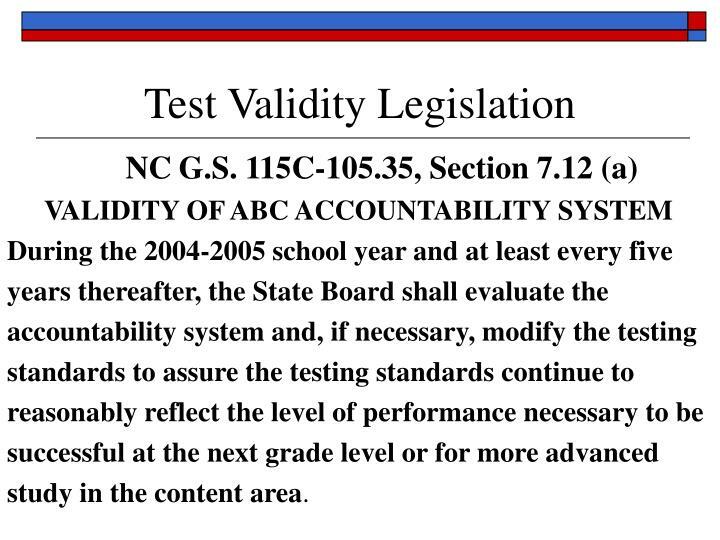 Are there sufficient variations in test scores? 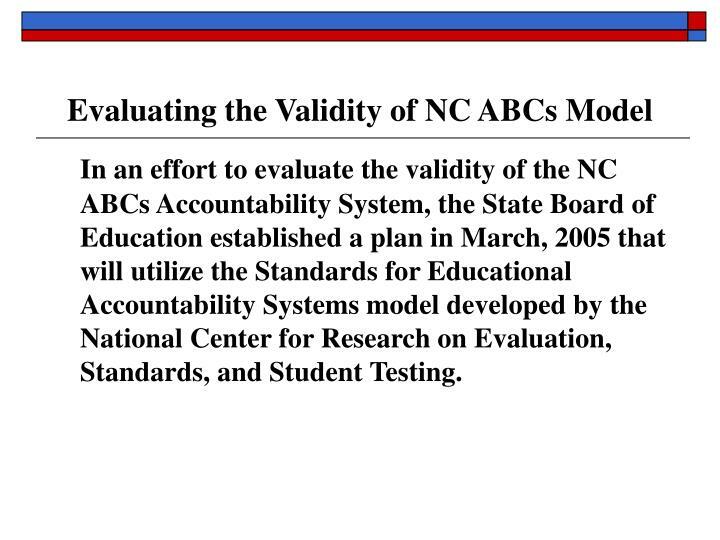 In an effort to evaluate the validity of the NC ABCs Accountability System, the State Board of Education established a plan in March, 2005 that will utilize the Standards for Educational Accountability Systems model developed by the National Center for Research on Evaluation, Standards, and Student Testing. interpretations of student, institution, and administrative performance. including subgroups that historically have been difficult to assess. 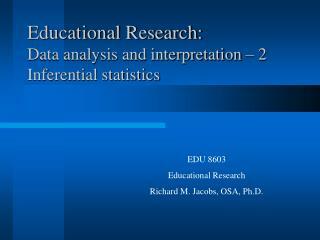 fluctuations of the student population or errors in measurement. 9. The validity of measures that have been administered should be documented for the various purposes. misclassification of individuals or institutions should be published. analysis should document the relationship between the items and specific standards or sets of standards. study in the content area. 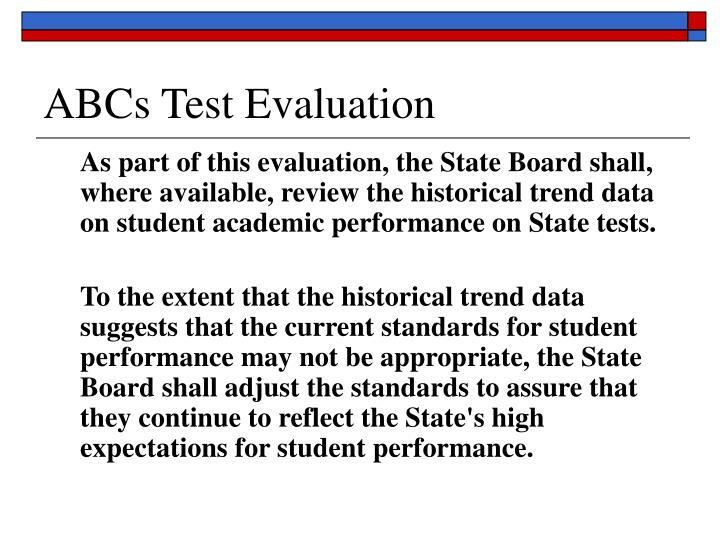 As part of this evaluation, the State Board shall, where available, review the historical trend data on student academic performance on State tests. 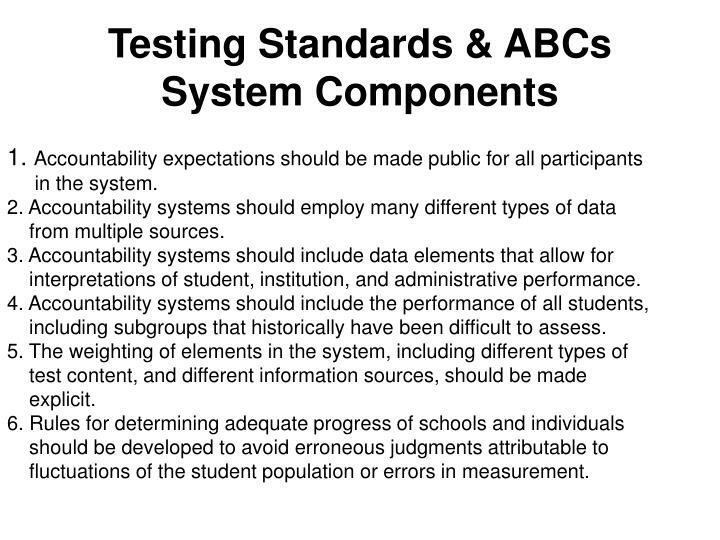 To the extent that the historical trend data suggests that the current standards for student performance may not be appropriate, the State Board shall adjust the standards to assure that they continue to reflect the State's high expectations for student performance. SECTION 7.12. 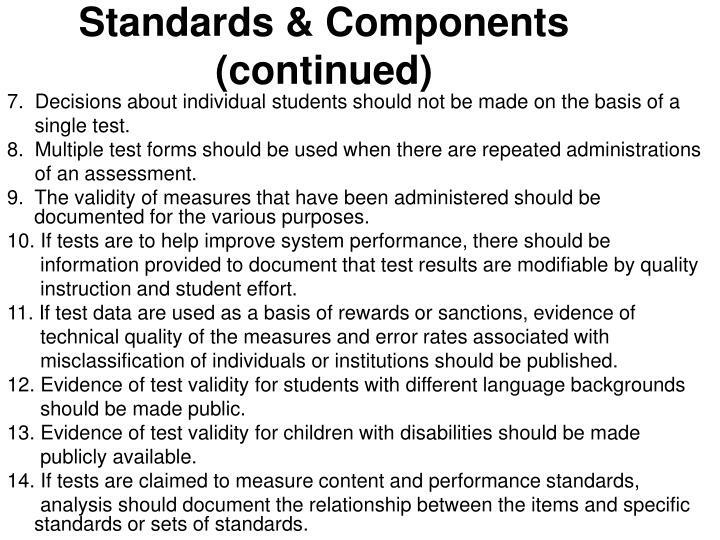 (b) The State Board shall complete its initial evaluation and any necessary modifications to the testing standards required under G.S. 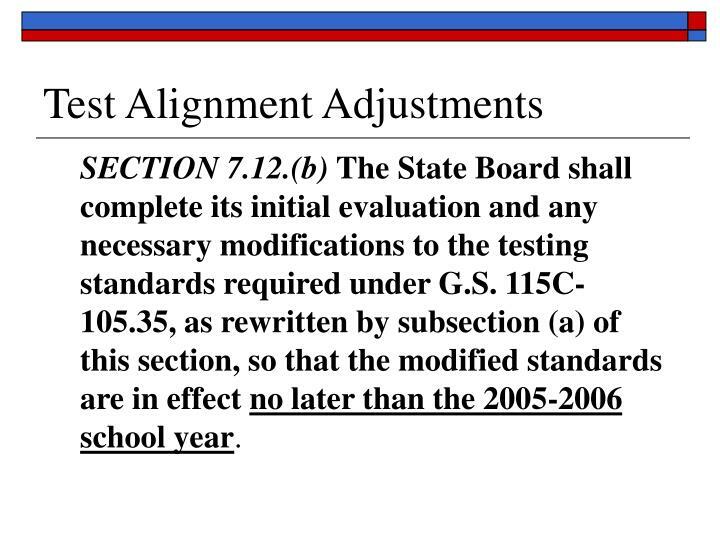 115C-105.35, as rewritten by subsection (a) of this section, so that the modified standards are in effectno later than the 2005-2006 school year. expectations in the first year of testing a new curriculum). Base expected student performance on past student performance. Produces valid and reliable results. year serves as a benchmark improvement for students in a given grade. Model compare to other states? 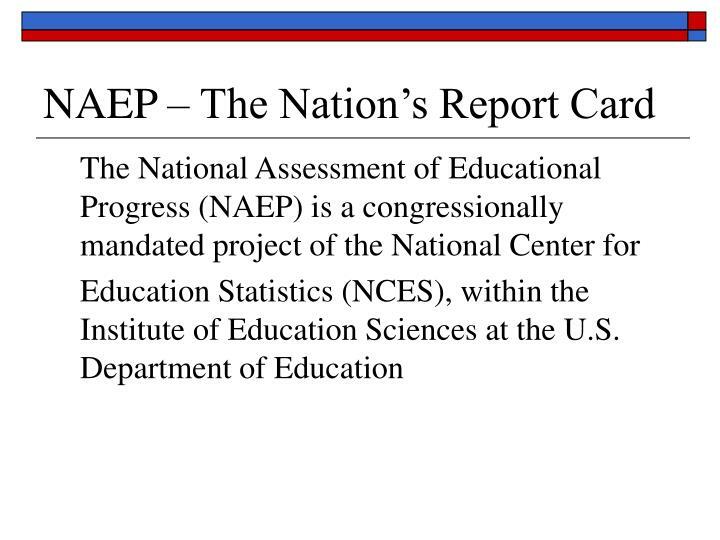 The National Assessment of Educational Progress (NAEP), also known as "the Nation's Report Card," is the only nationally representative and continuing assessment of what America's students know and can do in various subject areas. 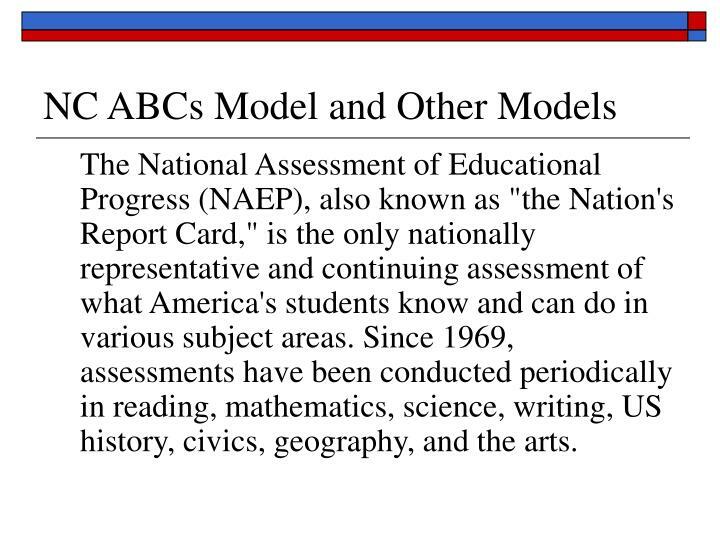 Since 1969, assessments have been conducted periodically in reading, mathematics, science, writing, US history, civics, geography, and the arts. NAEP produces a national set of scores based on the performance of students across the country and state-level results for participating states and jurisdictions. 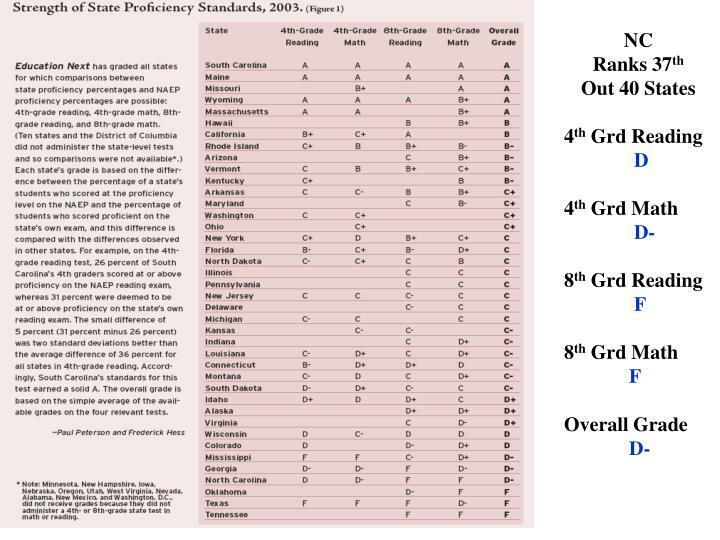 While all states conduct annual standardized tests to report on the performance of students on their specific curriculum objectives, the state assessments vary substantially from state to state, so results among the states cannot be compared. 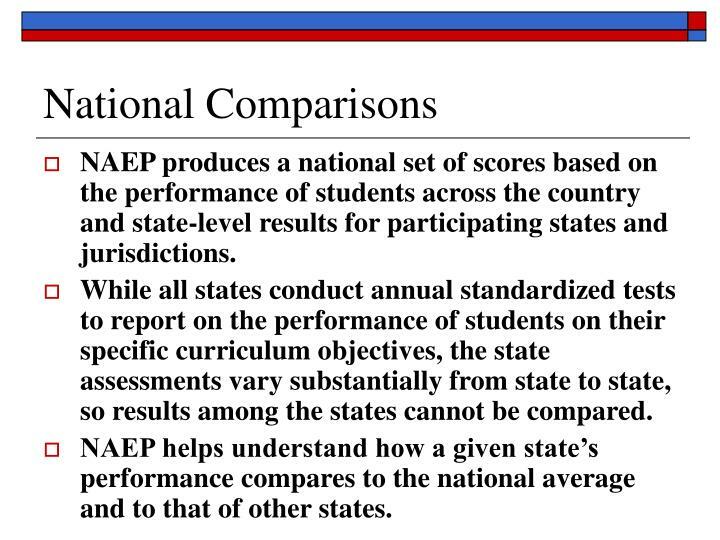 NAEP helps understand how a given state’s performance compares to the national average and to that of other states. 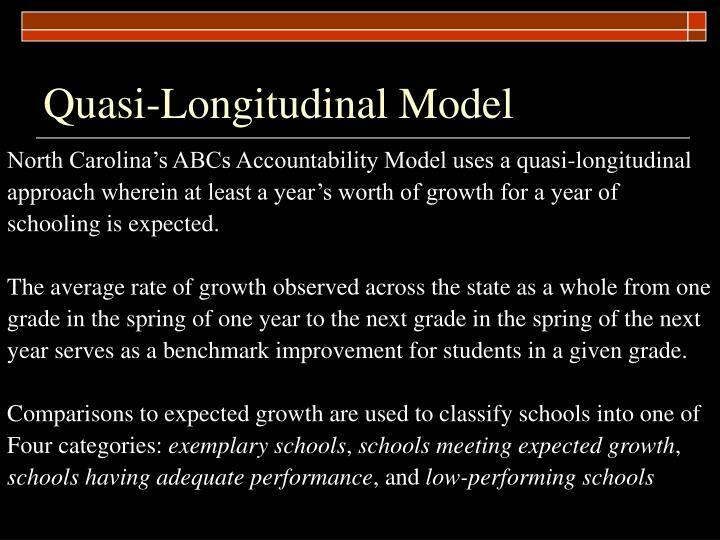 2) to measure educational progress over long periods of time. Main NAEP - Every 2 years, reading and mathematics are assessed at the national level at grades 4, 8, and 12, and at the state level at grades 4 and 8. Every 4 years, science and writing are assessed at the national level at grades 4, 8, and 12, and at the state level at grades 4 and 8. Other subjects are assessed periodically. 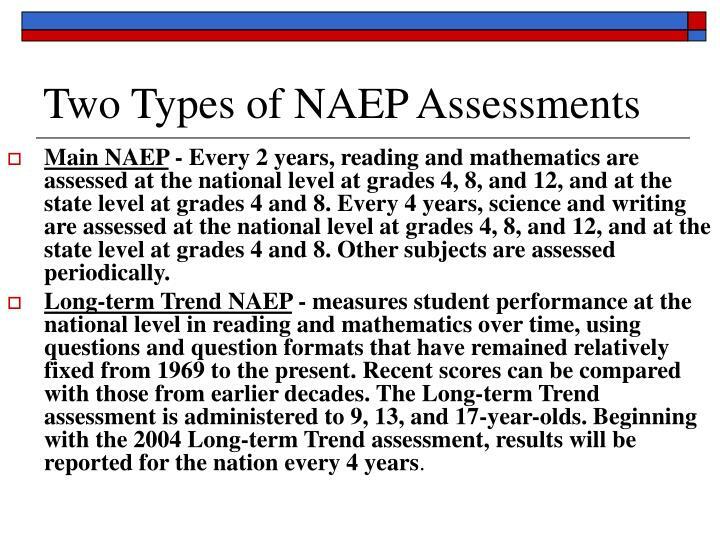 Long-term Trend NAEP - measures student performance at the national level in reading and mathematics over time, using questions and question formats that have remained relatively fixed from 1969 to the present. Recent scores can be compared with those from earlier decades. 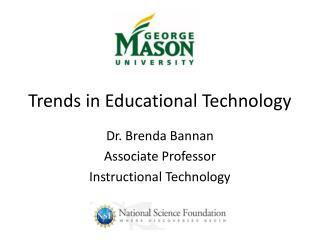 The Long-term Trend assessment is administered to 9, 13, and 17-year-olds. Beginning with the 2004 Long-term Trend assessment, results will be reported for the nation every 4 years. 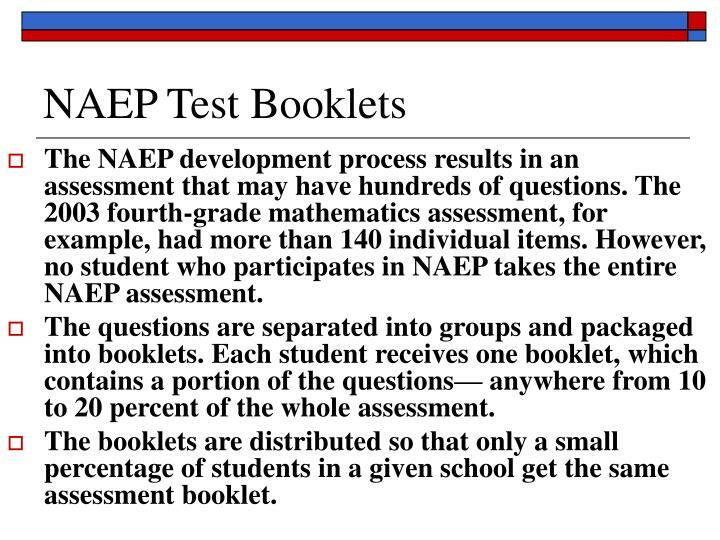 NAEP assessments are administered to samples of U.S. students in grades 4, 8, and 12. Schools are selected to be representative of states, the nation, or other jurisdictions as appropriate. 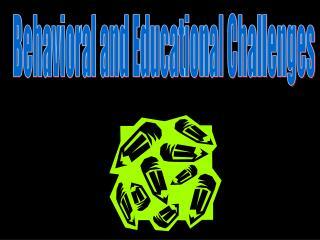 Students are then randomly selected from those schools to participate. 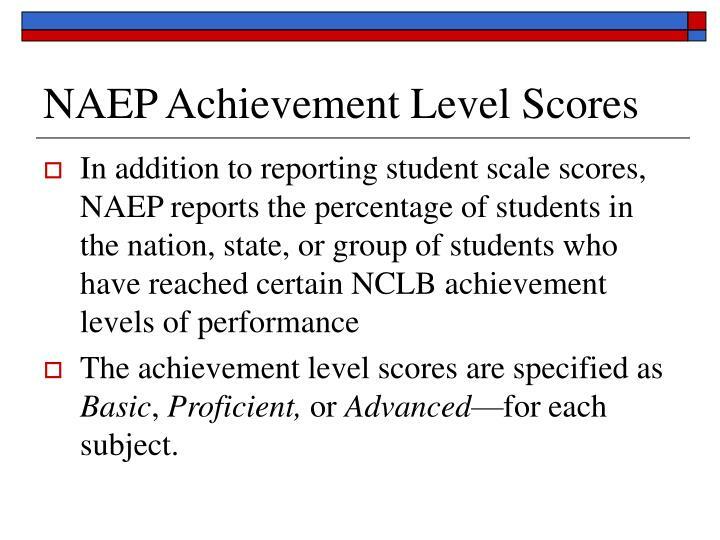 NAEP does not provide scores for individual students or schools. Any one student takes only a small portion of the whole assessment. The responses are combined and the results are reported for groups of students by characteristics such as gender and racial/ethnic membership. Participation in NAEP is voluntary for students who are selected and has no effect on a student’s grades. 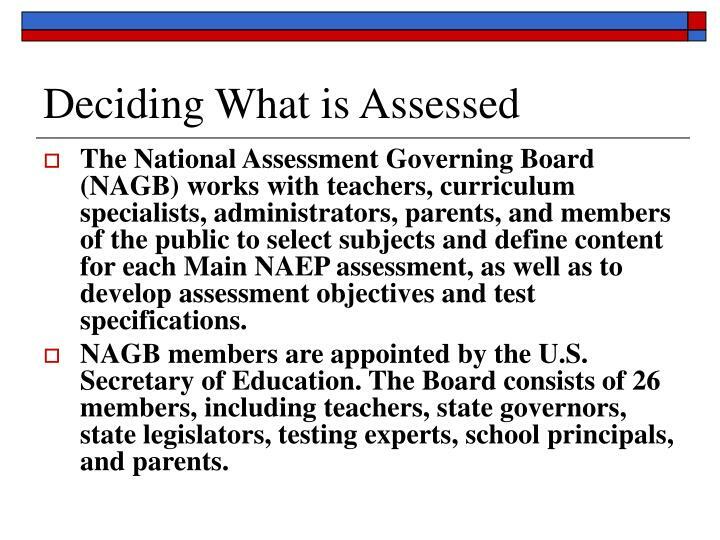 The National Assessment Governing Board (NAGB) works with teachers, curriculum specialists, administrators, parents, and members of the public to select subjects and define content for each Main NAEP assessment, as well as to develop assessment objectives and test specifications. NAGB members are appointed by the U.S. Secretary of Education. The Board consists of 26 members, including teachers, state governors, state legislators, testing experts, school principals, and parents. 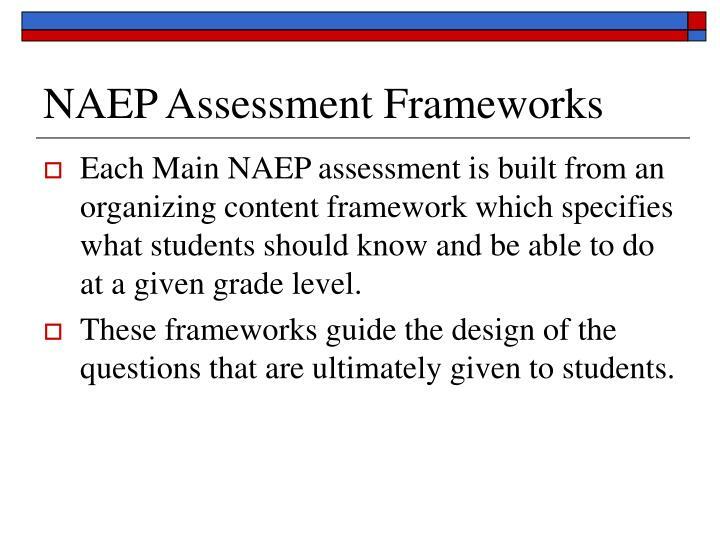 Each Main NAEP assessment is built from an organizing content framework which specifies what students should know and be able to do at a given grade level. 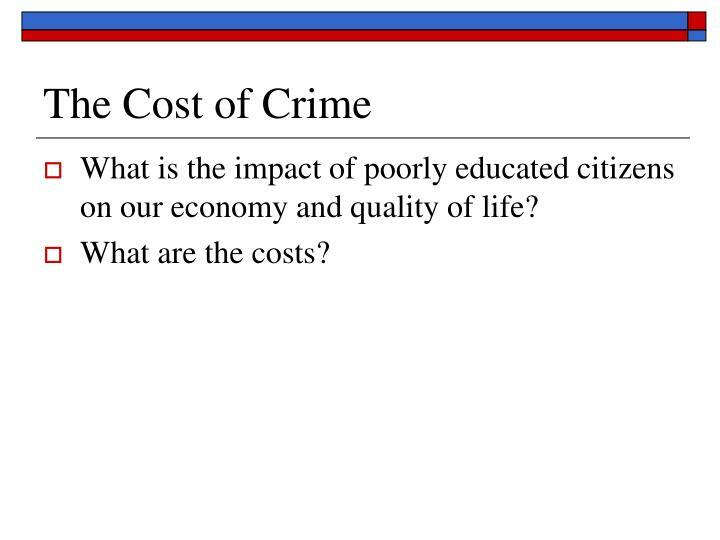 These frameworks guide the design of the questions that are ultimately given to students. 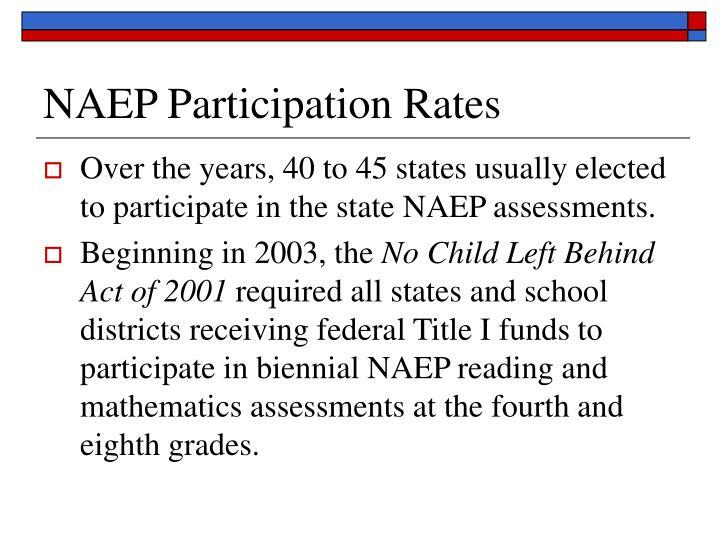 Over the years, 40 to 45 states usually elected to participate in the state NAEP assessments. 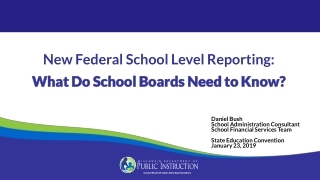 Beginning in 2003, the No Child Left Behind Act of 2001 required all states and school districts receiving federal Title I funds to participate in biennial NAEP reading and mathematics assessments at the fourth and eighth grades. Based on NAEP frameworks, testing specialists develop questions with the help of teachers, curriculum specialists, and measurement experts. 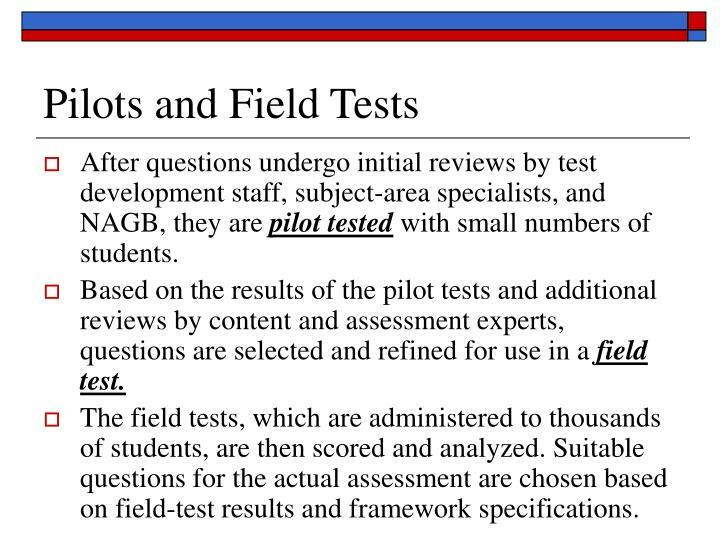 After questions undergo initial reviews by test development staff, subject-area specialists, and NAGB, they are pilot tested with small numbers of students. Based on the results of the pilot tests and additional reviews by content and assessment experts, questions are selected and refined for use in a field test. The field tests, which are administered to thousands of students, are then scored and analyzed. 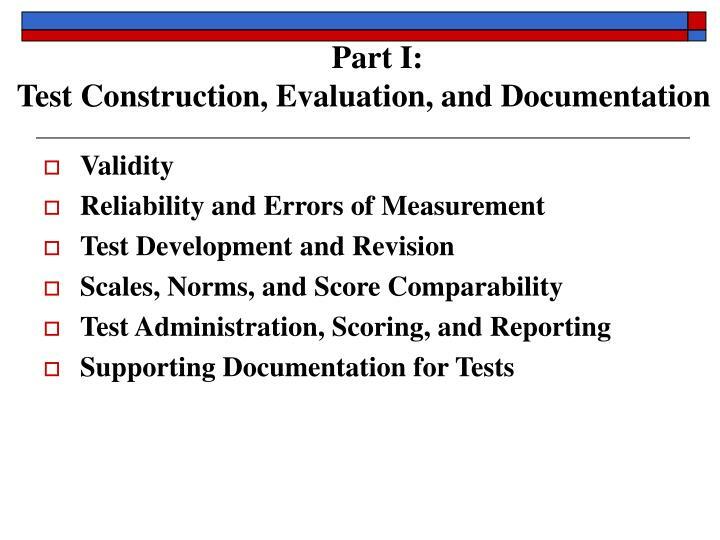 Suitable questions for the actual assessment are chosen based on field-test results and framework specifications. 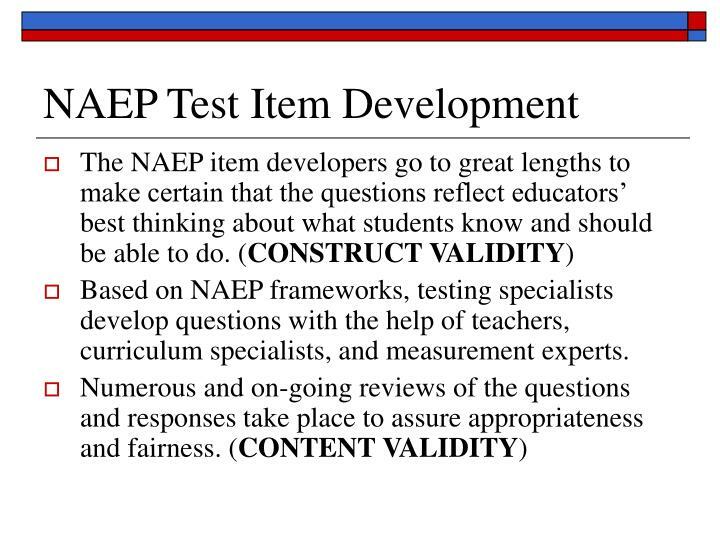 The NAEP development process results in an assessment that may have hundreds of questions. The 2003 fourth-grade mathematics assessment, for example, had more than 140 individual items. 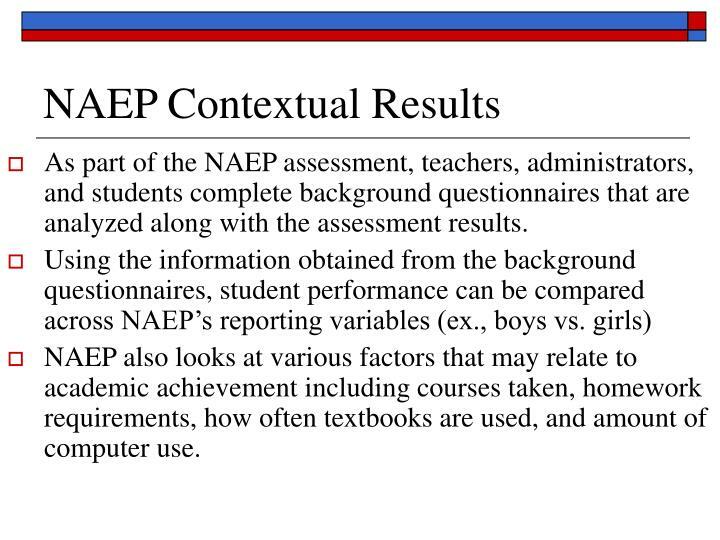 However, no student who participates in NAEP takes the entire NAEP assessment. The questions are separated into groups and packaged into booklets. Each student receives one booklet, which contains a portion of the questions— anywhere from 10 to 20 percent of the whole assessment. The booklets are distributed so that only a small percentage of students in a given school get the same assessment booklet. 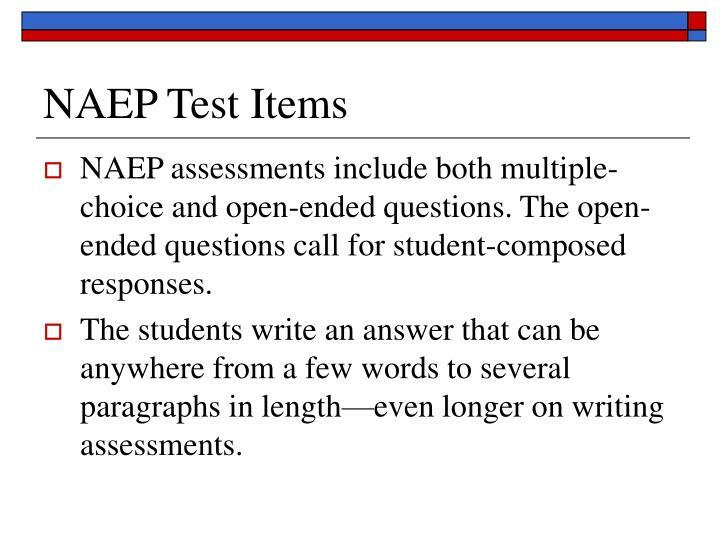 NAEP assessments include both multiple-choice and open-ended questions. 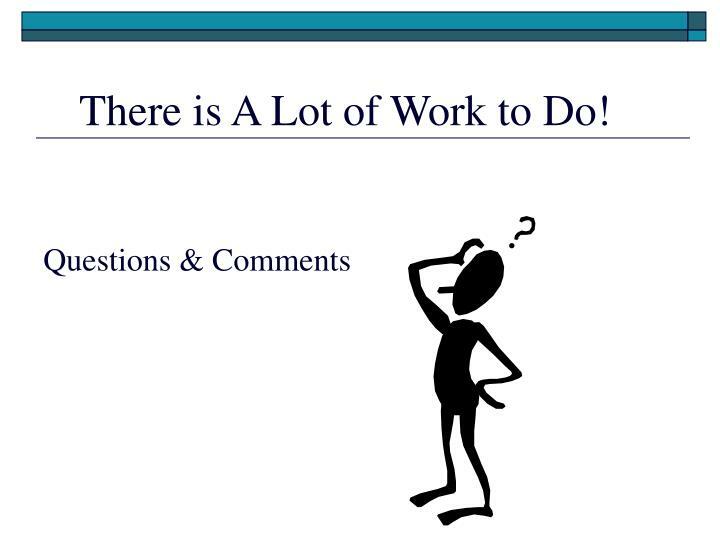 The open-ended questions call for student-composed responses. The students write an answer that can be anywhere from a few words to several paragraphs in length—even longer on writing assessments. 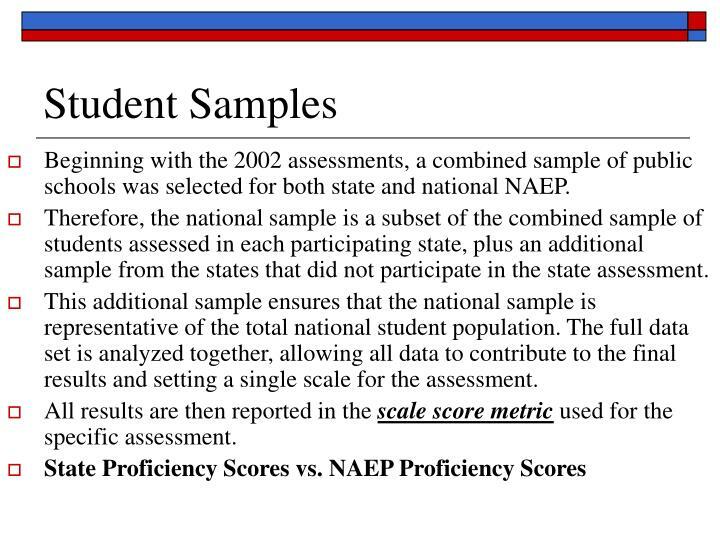 NAEP selects a sample large enough to assure valid and reliable results but generally does not include every student in the grades being assessed. Schools located in states or districts that receive Title I funds are required to participate in biennial NAEP reading and mathematics assessments at grades 4 and 8 if they are selected. School participation is voluntary in all other assessments. 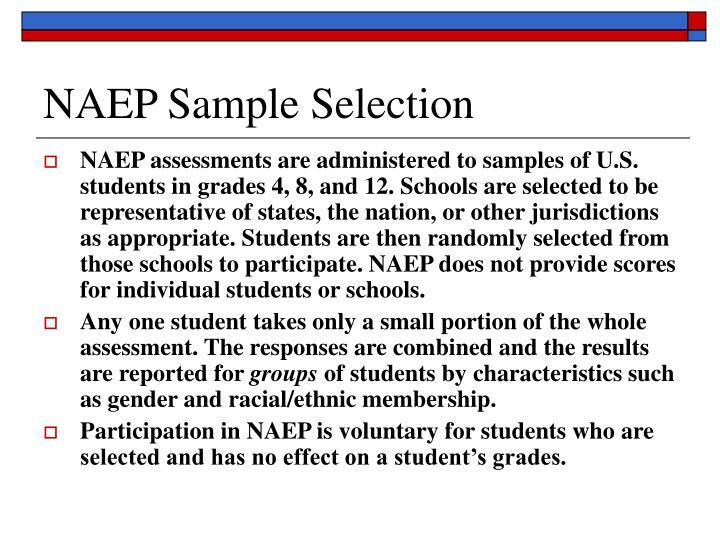 For the national assessments, in a year without state assessments, NAEP selects a random sample of public and private school students to represent the diverse student population in the United States. When conducting only a national assessment without state assessments, typically 6,000 to 10,000 students per grade for each subject are assessed. 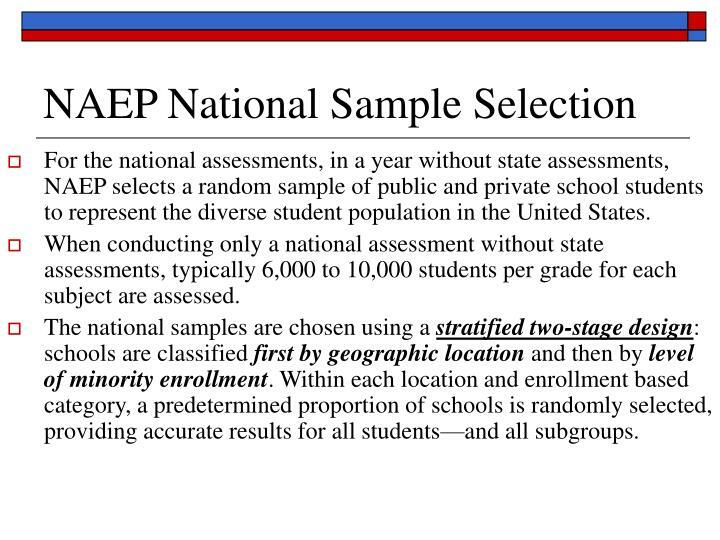 The national samples are chosen using a stratified two-stage design: schools are classified first by geographic location and then by level of minority enrollment. Within each location and enrollment based category, a predetermined proportion of schools is randomly selected, providing accurate results for all students—and all subgroups. In a typical state, NAEP selects about 3,000 students in approximately 100 schools for each grade and each subject assessed. The samples are selected using a two-stage design thatfirst selects schools within each state or other jurisdiction and then selects students within schools. Once NAEP has identified the schools for the assessment, students within each participating school are selected randomly. 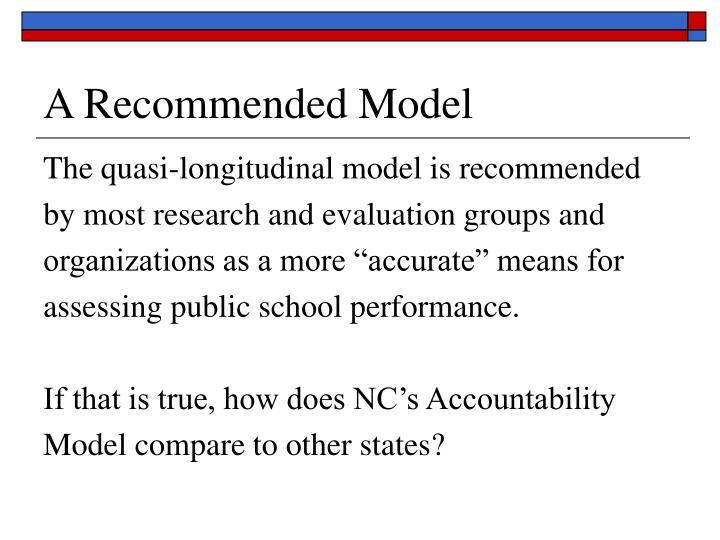 In state assessment years, the state samples are combined to produce a national sample. 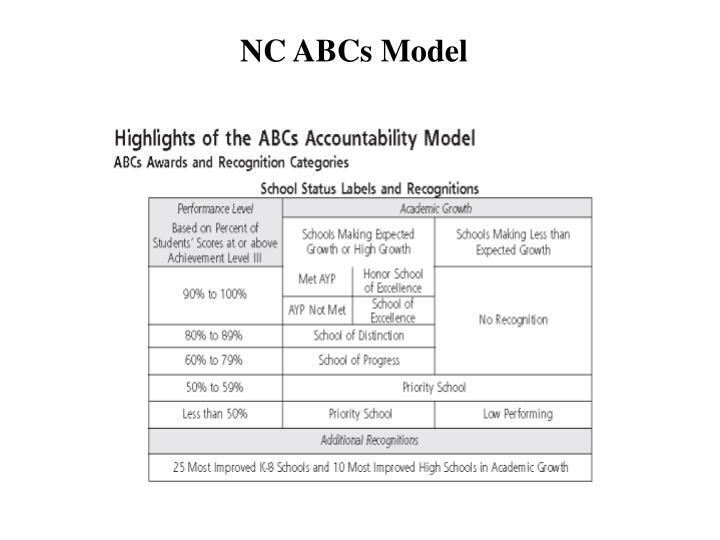 A score, derived from student responses to NAEP assessment items, that summarizes the overall level of performance attained by a group of students. 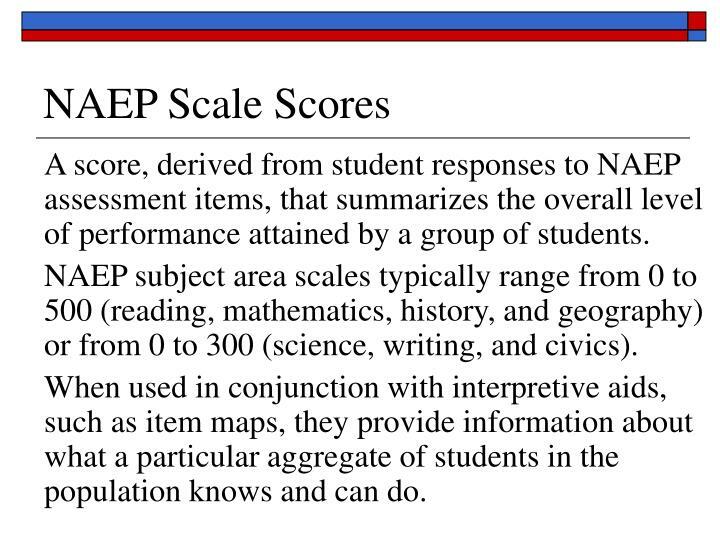 NAEP subject area scales typically range from 0 to 500 (reading, mathematics, history, and geography) or from 0 to 300 (science, writing, and civics). 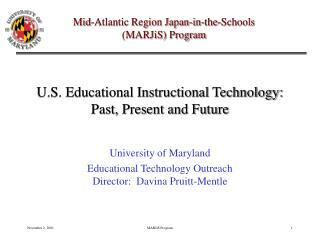 When used in conjunction with interpretive aids, such as item maps, they provide information about what a particular aggregate of students in the population knows and can do. 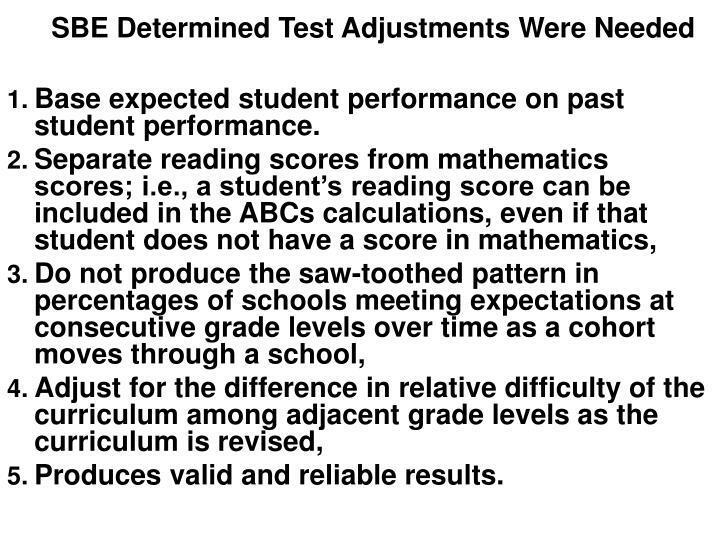 The 2003 assessments in reading and mathematics had a state components at grades 4 and 8. Overall, 53 states and jurisdictions participated in the two assessments. 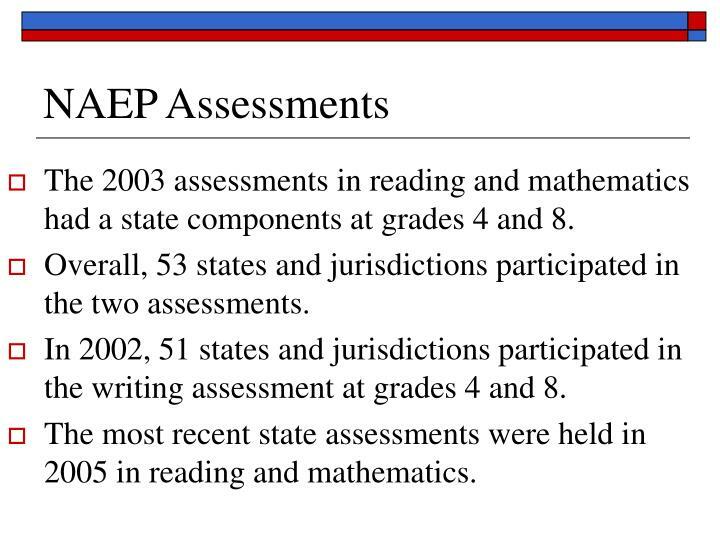 In 2002, 51 states and jurisdictions participated in the writing assessment at grades 4 and 8. 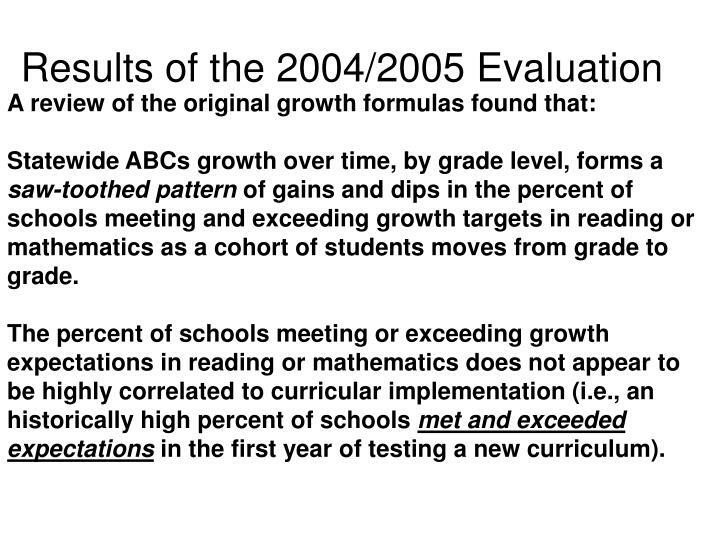 The most recent state assessments were held in 2005 in reading and mathematics. 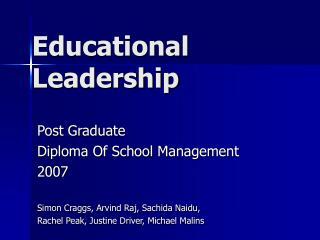 The achievement level scores are specified as Basic, Proficient, or Advanced—for each subject. As part of the NAEP assessment, teachers, administrators, and students complete background questionnaires that are analyzed along with the assessment results. 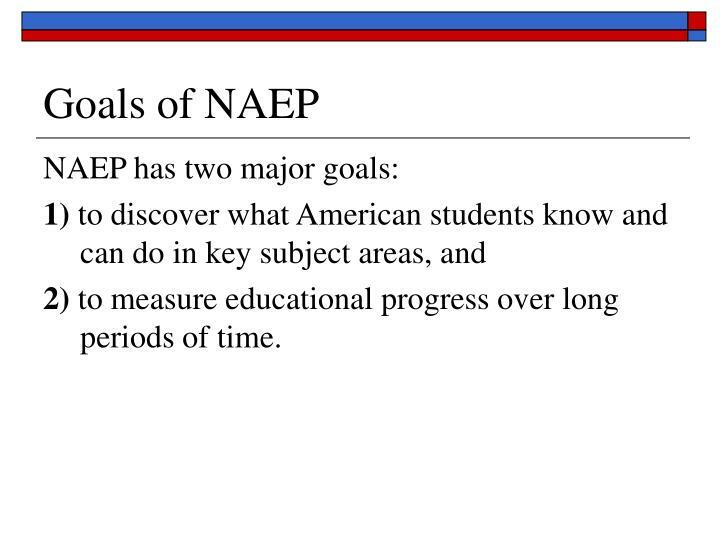 NAEP also looks at various factors that may relate to academic achievement including courses taken, homework requirements, how often textbooks are used, and amount of computer use. 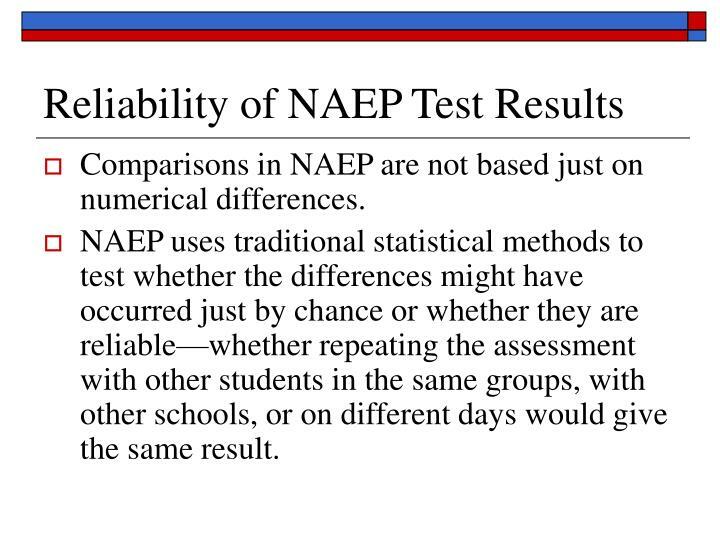 Comparisons in NAEP are not based just on numerical differences. NAEP uses traditional statistical methods to test whether the differences might have occurred just by chance or whether they are reliable—whether repeating the assessment with other students in the same groups, with other schools, or on different days would give the same result. 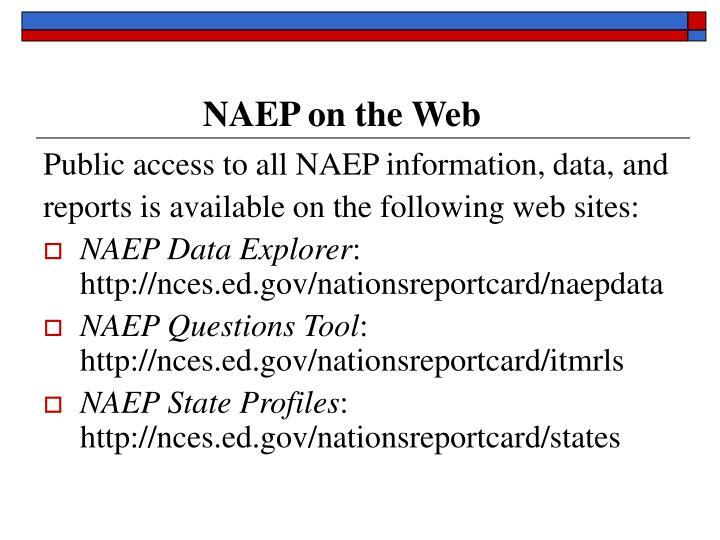 NAEP reports information for the nation and specific geographic regions of the country. It includes students drawn from both public and nonpublic schools and reports results for student achievement at grades 4, 8, and 12. It also provides state comparison information. 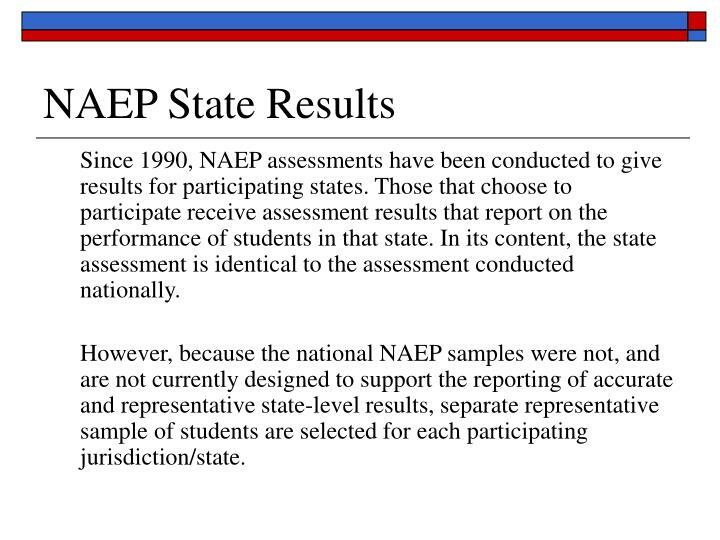 Since 1990, NAEP assessments have been conducted to give results for participating states. 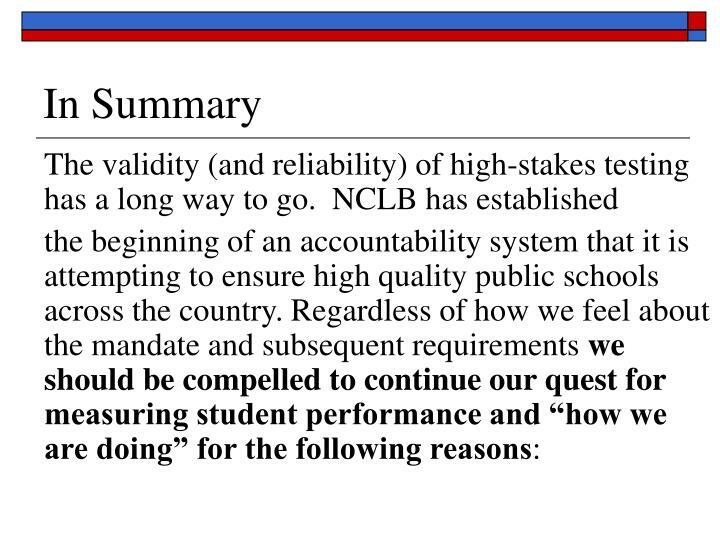 Those that choose to participate receive assessment results that report on the performance of students in that state. 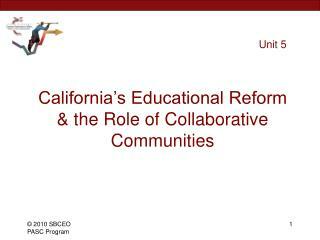 In its content, the state assessment is identical to the assessment conducted nationally. 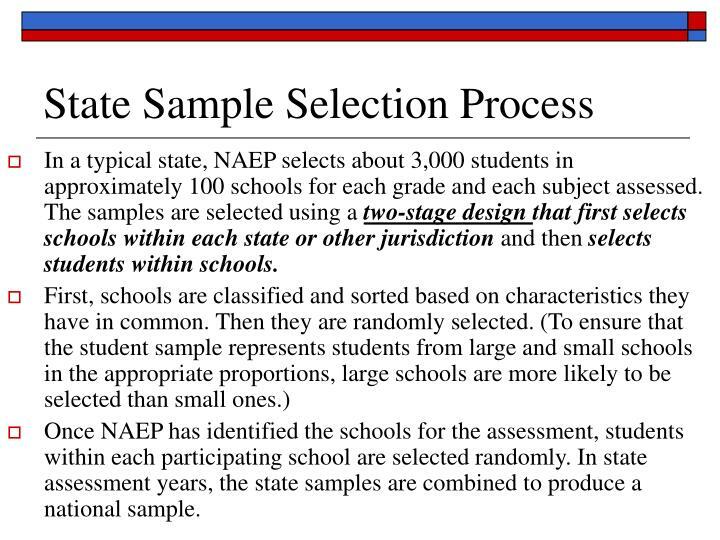 However, because the national NAEP samples were not, and are not currently designed to support the reporting of accurate and representative state-level results, separate representative sample of students are selected for each participating jurisdiction/state. These assessments follow the frameworks developed by the National Assessment Governing Board (NAGB), and use the latest advances in assessment methodology. 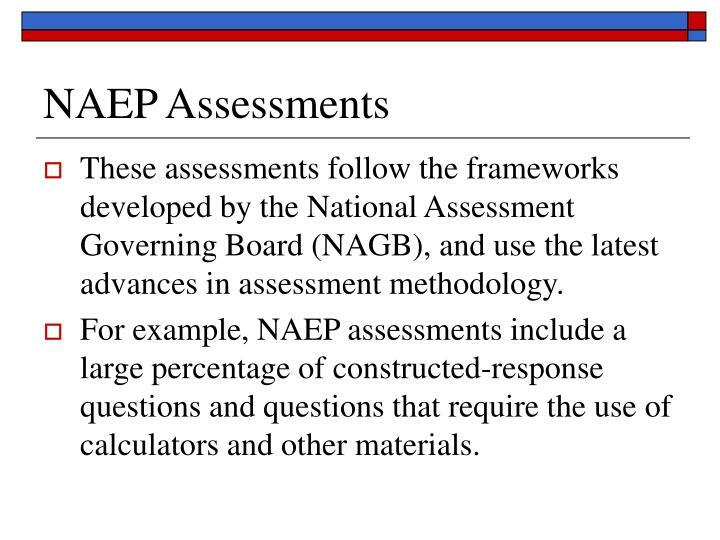 For example, NAEP assessments include a large percentage of constructed-response questions and questions that require the use of calculators and other materials. 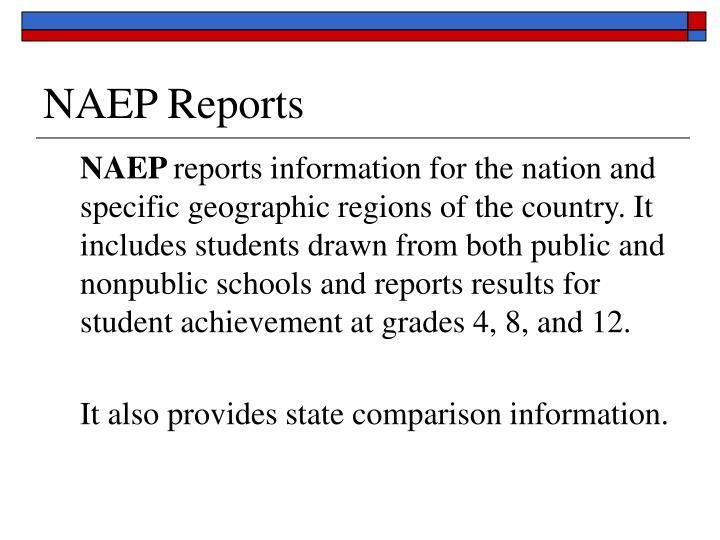 Beginning with the 2002 assessments, a combined sample of public schools was selected for both state and national NAEP. 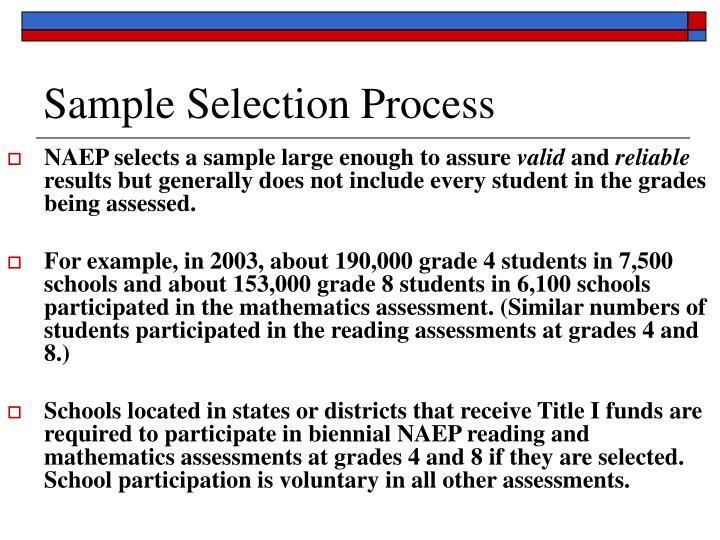 Therefore, the national sample is a subset of the combined sample of students assessed in each participating state, plus an additional sample from the states that did not participate in the state assessment. This additional sample ensures that the national sample is representative of the total national student population. The full data set is analyzed together, allowing all data to contribute to the final results and setting a single scale for the assessment. All results are then reported in the scale score metric used for the specific assessment. North Carolina ranks 34th in college attendance rates among the 50 states. 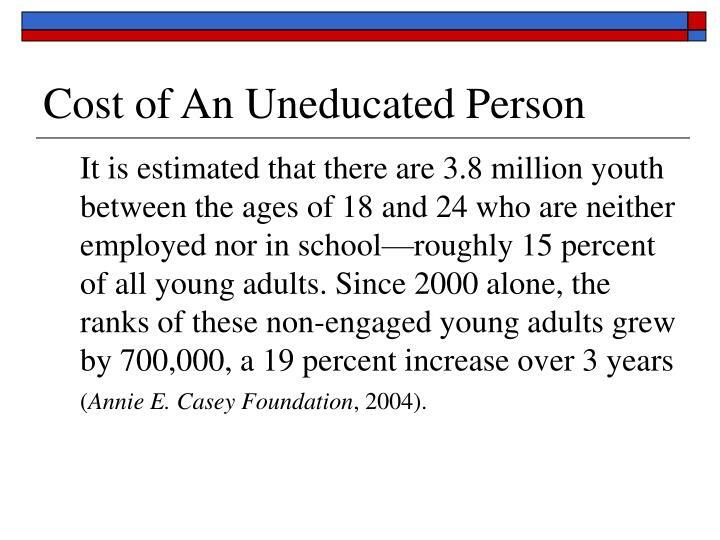 85% of all jobs by 2010 will require 14 or more years of education. Less than 80% of adult North Carolinians have completed high school. Only 3 states have lower high school completion rates than North Carolina. Less than a third of NC's fourth and eighth graders scored in the proficient range on standardized tests. 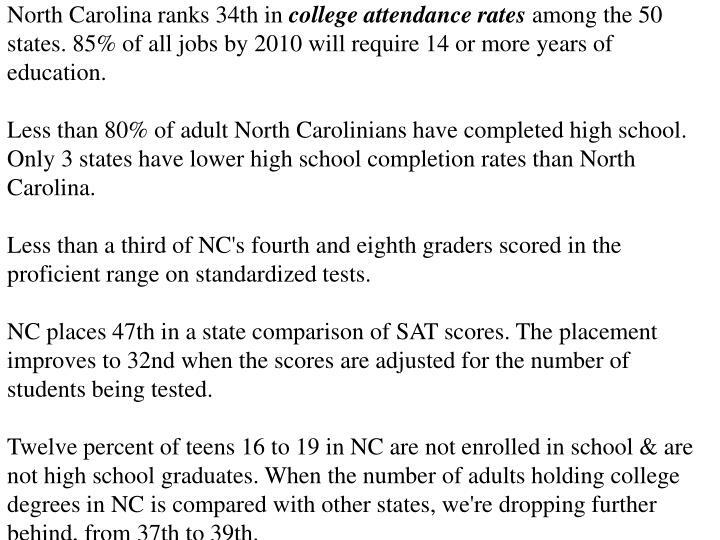 NC places 47th in a state comparison of SAT scores. The placement improves to 32nd when the scores are adjusted for the number of students being tested. Twelve percent of teens 16 to 19 in NC are not enrolled in school & are not high school graduates. When the number of adults holding college degrees in NC is compared with other states, we're dropping further behind, from 37th to 39th. 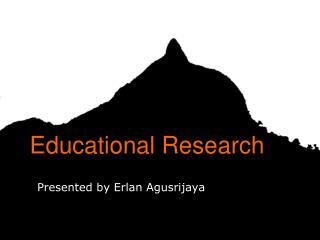 Educational Research: Descriptive Research -. 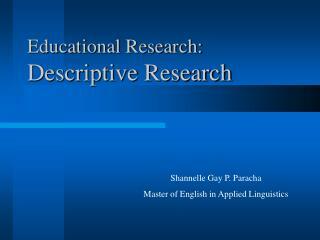 shannelle gay p. paracha master of english in applied linguistics. research. 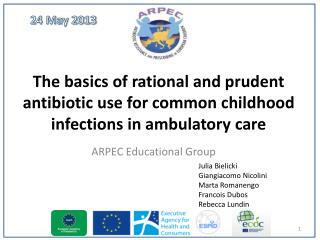 the systematic application of a family of methods employed to provide trustworthy information about problems. 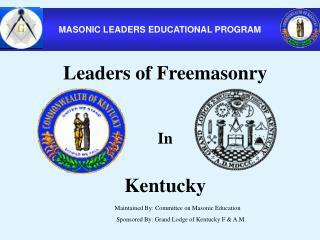 MASONIC LEADERS EDUCATIONAL PROGRAM -. leaders of freemasonry in kentucky maintained by: committee on masonic education sponsored by: grand lodge of kentucky f &amp; a.m. masonic leaders educational program.